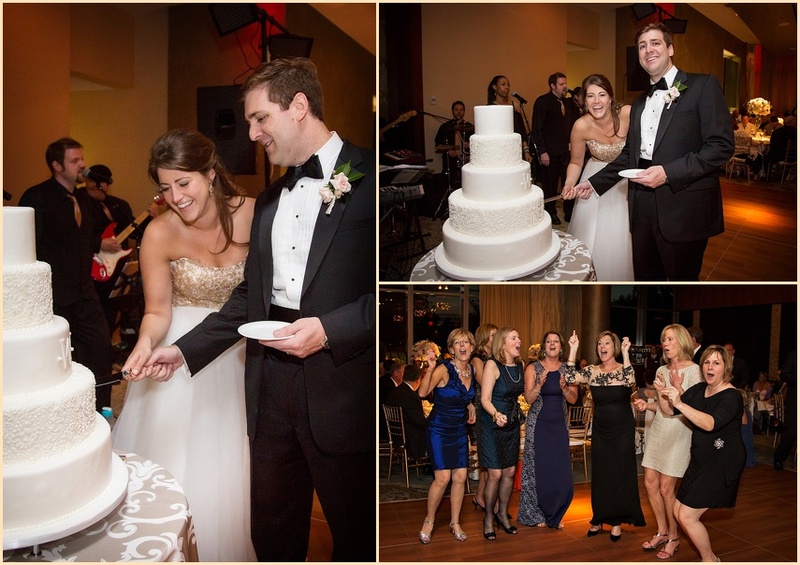 Weddings are always a reason to celebrate, so what better day to tie the knot than New Year’s Eve? 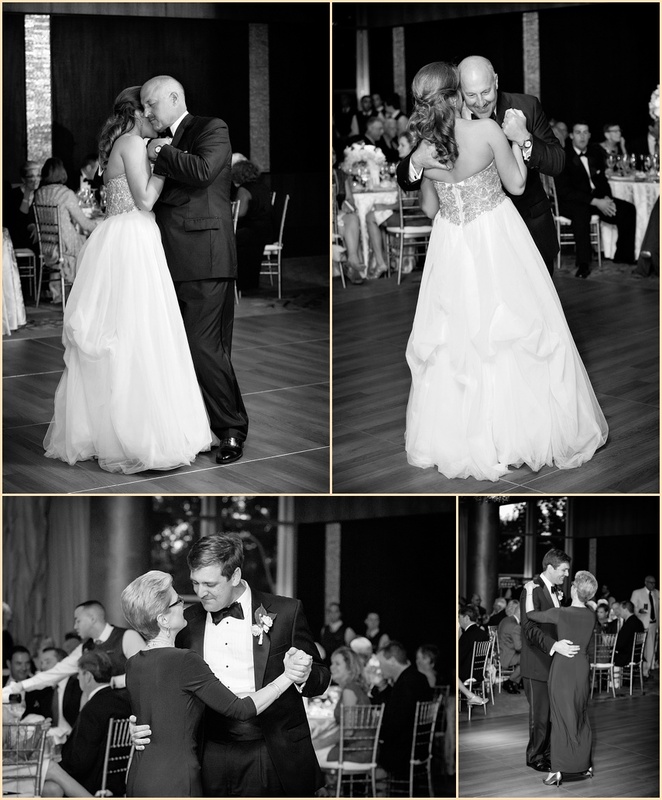 We absolutely loved welcoming in 2015 with Juliette and Noah’s New Years Eve Winter Wedding at the Ritz-Carlton Boston Common. 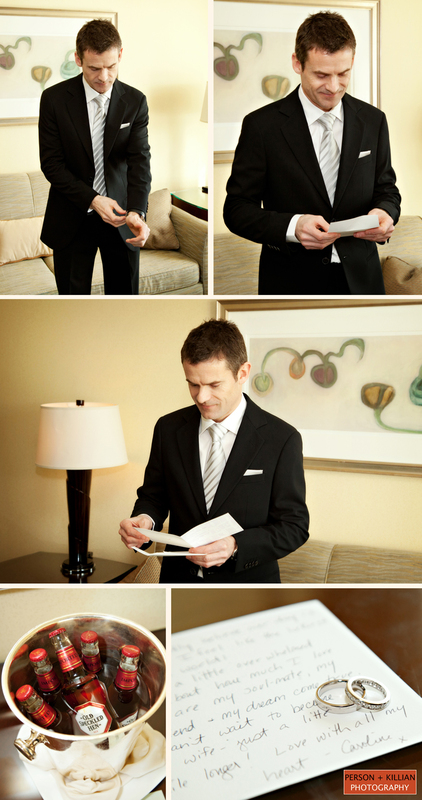 We met up with the couple as they got ready at the Ritz before heading over to Cambridge for the ceremony in Harvard Yard. 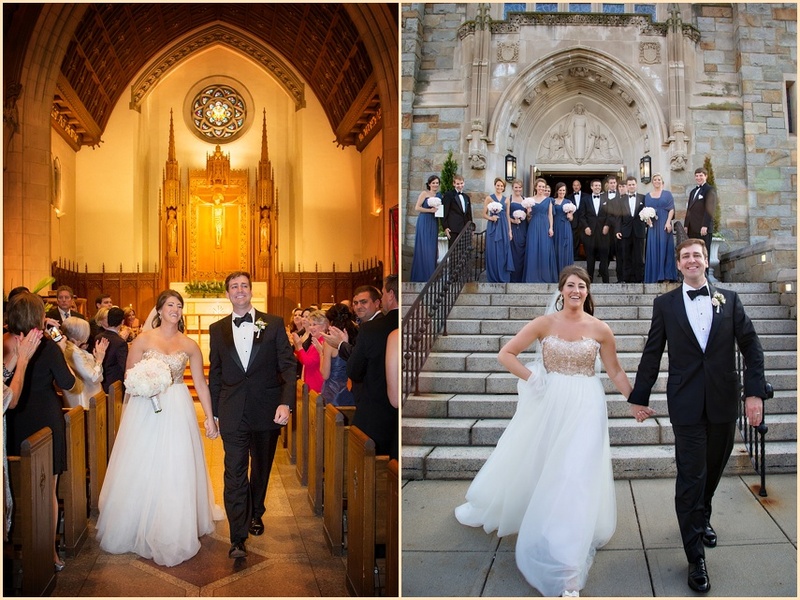 The Harvard Memorial Church was the perfect venue for Juliette and Noah’s ceremony because they both attended Harvard for grad school. 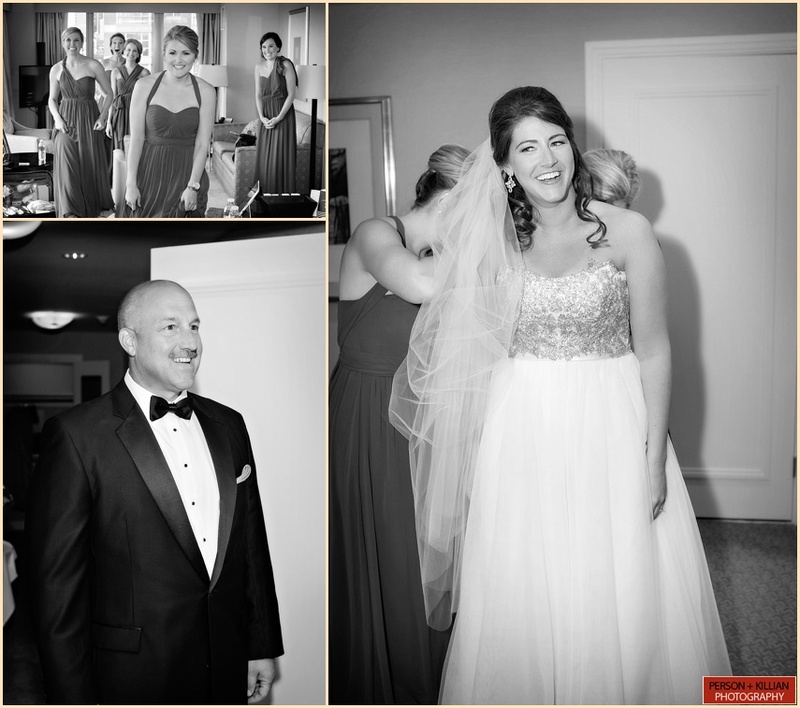 The couple also chose to not see each other until Juliette walked down the aisle which made for a very emotional ceremony. 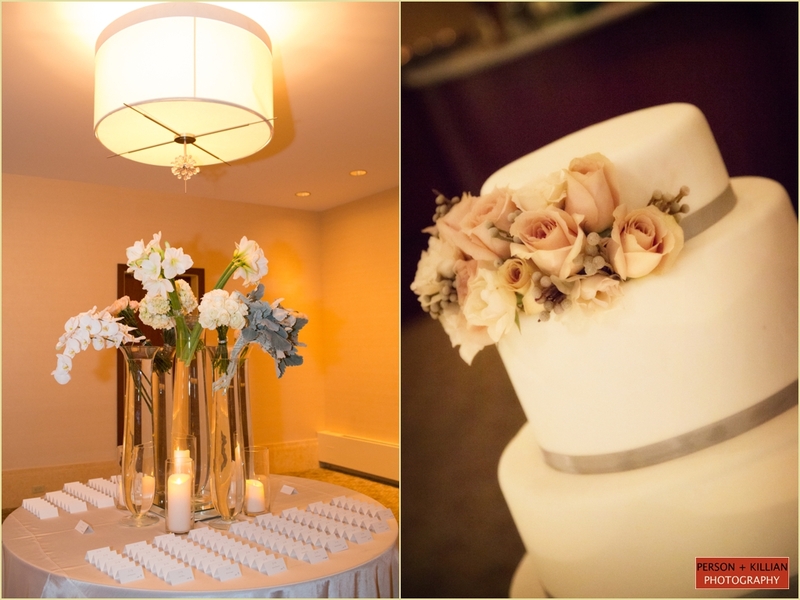 The floral arrangements and lanterns from Winston Flowers added a special touch. After the ceremony everyone headed back to the Ritz for the cocktail hour and reception. They enjoyed toasts from their loved ones and celebrated all night into 2015! There were even fireworks just outside the windows, illuminating the dark night sky. 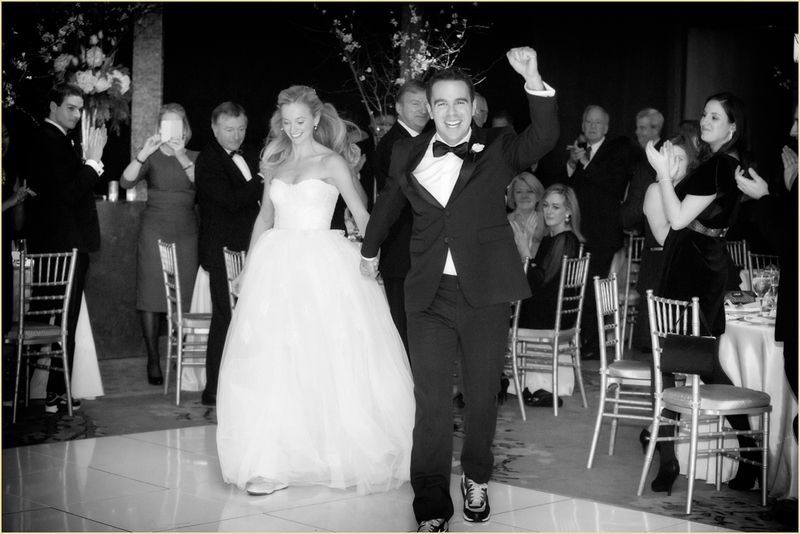 This was such a fun way to ring in the New Year and to celebrate such a special day for Juliette and Noah. 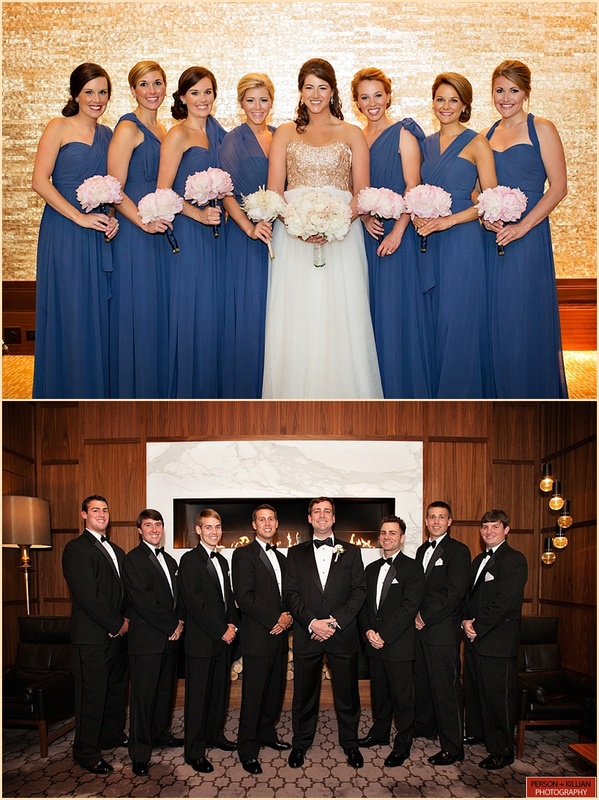 A big thank you to the team at the Ritz-Carlton, Boston Common and Congratulations again Juliette and Noah! 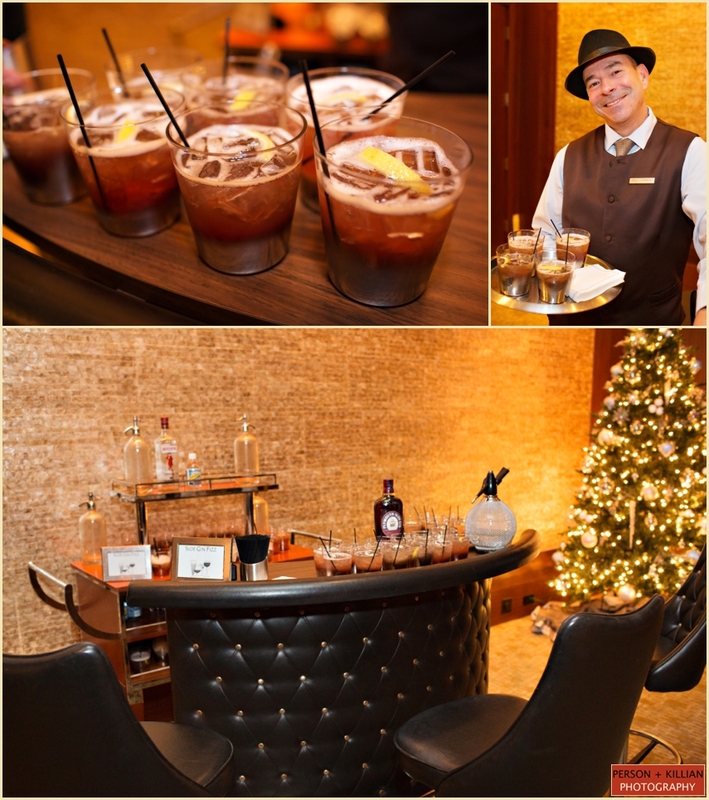 The Ritz-Carlton, Boston Common – Holiday Client Party 2014! 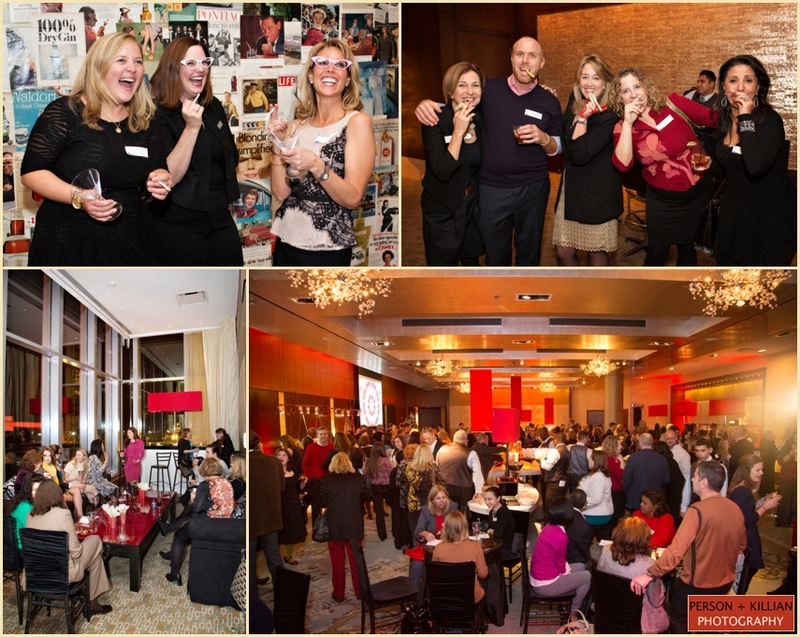 Each year, The Ritz-Carlton, Boston Common puts on a holiday client party and is always one of our favorite events of the year to attend and photograph. 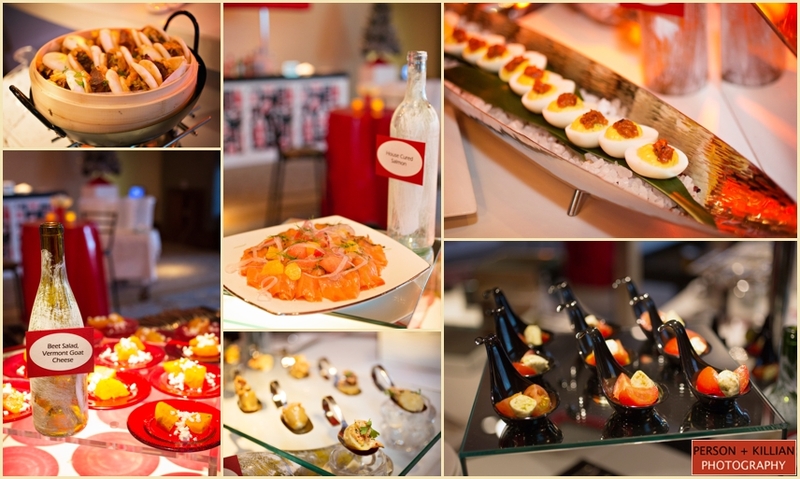 We love the creative cuisine presentations, raffle prizes that will take you around the globe and great company. 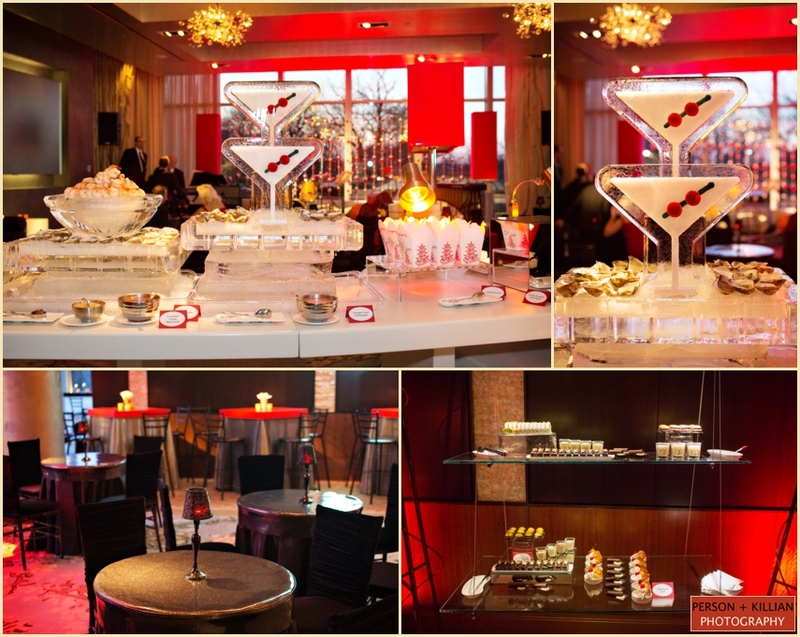 Put this all together and you are sure to make for a truly unforgettable evening! 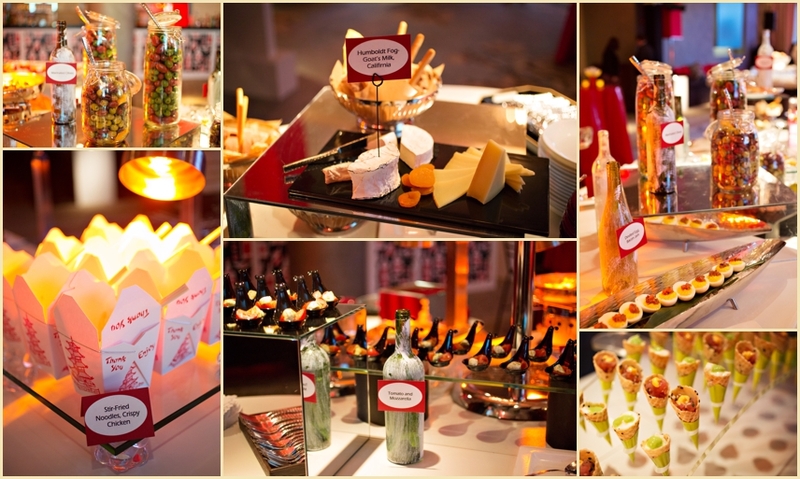 This year The Ritz-Carlton, Boston Common ballroom was transformed into an authentic European Holiday Market for a Client Party honoring their significant business contributors. 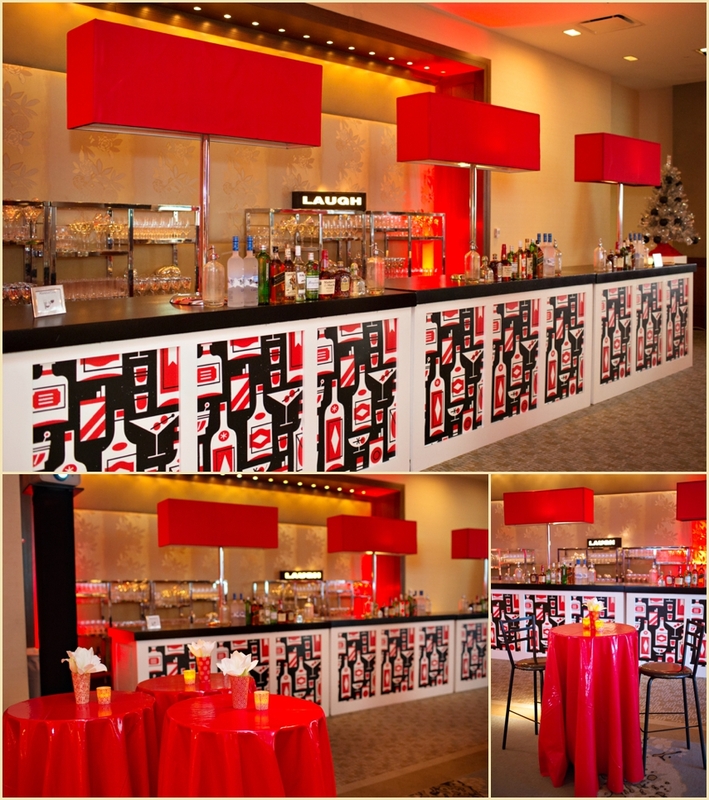 This festive theme was inspired by the travels of Catering Sales Manager, Laura Fox. 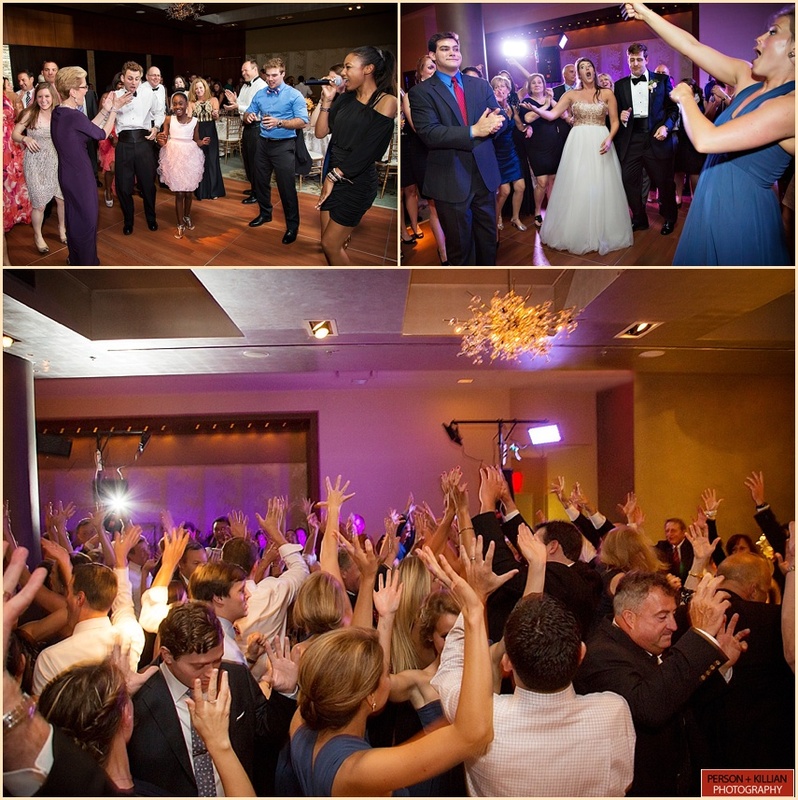 Every element of the evening stood to capture the rustic decadence of German cuisine, music, and celebration. The German-born Executive Chef Frank Kassner infused each dish with the distinct flavors and comforting aromas that were reminiscent of his own childhood experiences. 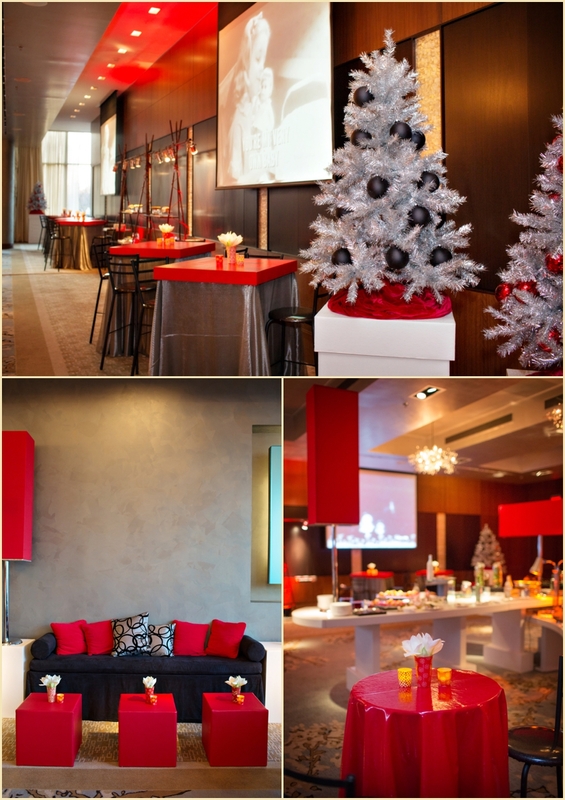 Guests entered to a Winter Wonderland photo booth, were escorted to a mugful of Gluhwein (mulled wine), and subsequently transported to a chilly evening in a European square for an evening of fur, food, and dear friends. 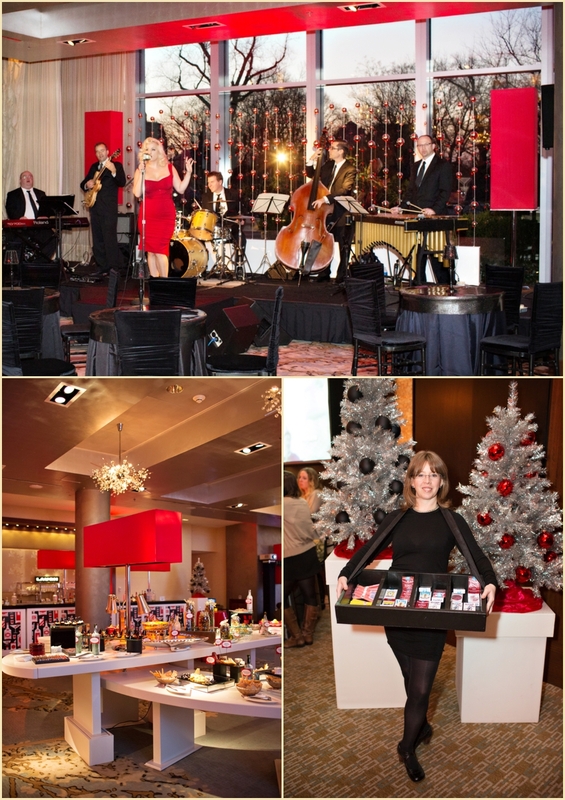 We are always so thrilled to be a part of this annual holiday celebration — a big thank you to The Ritz Carlton, Boston Common for having us there at your beautiful event! 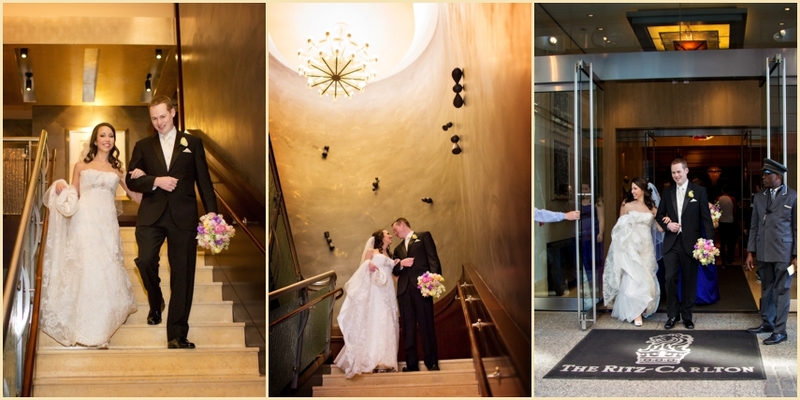 There are so many reasons we love working at the Ritz — the location right in the heart of Downtown Boston, the array of beautiful spaces to take wedding photos, and the classic and elegant ballroom are only a few of them! 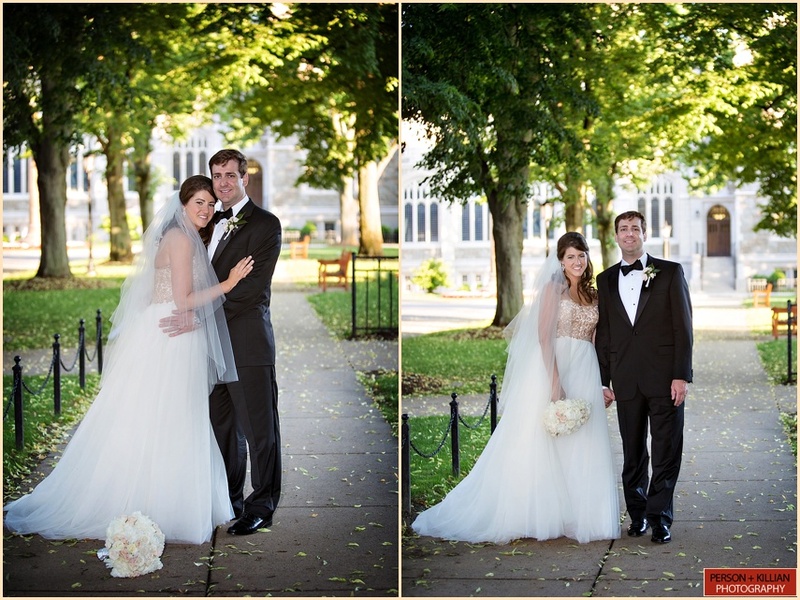 We were thrilled when Emily + Lou hired us to photograph their summer wedding at the Ritz Carlton Boston Common, and the day turned out to be perfect. 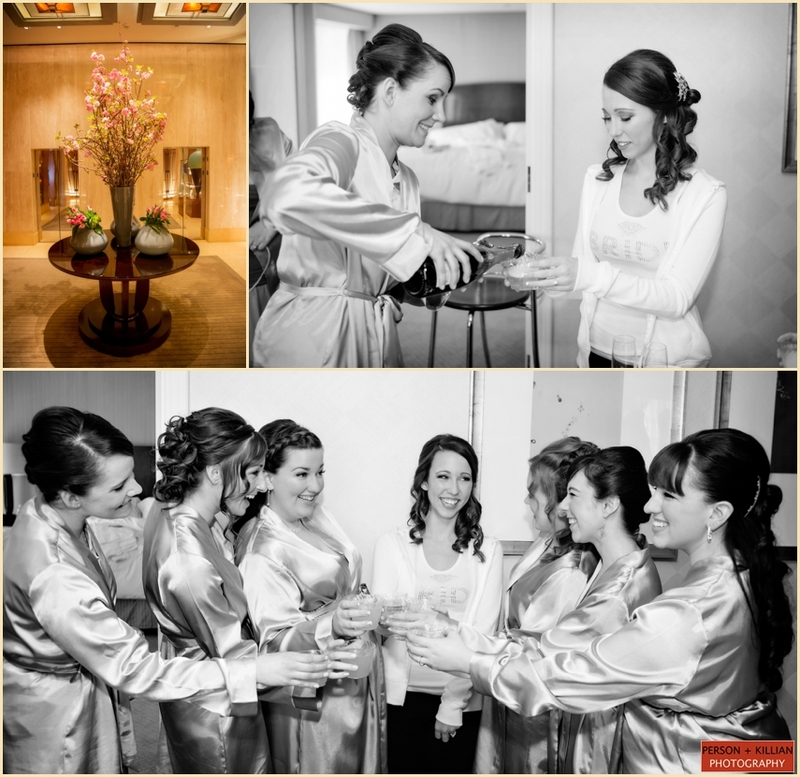 The bride and groom both started their morning getting ready at the Ritz — Emily with her bridal party and Lou with his groomsmen. 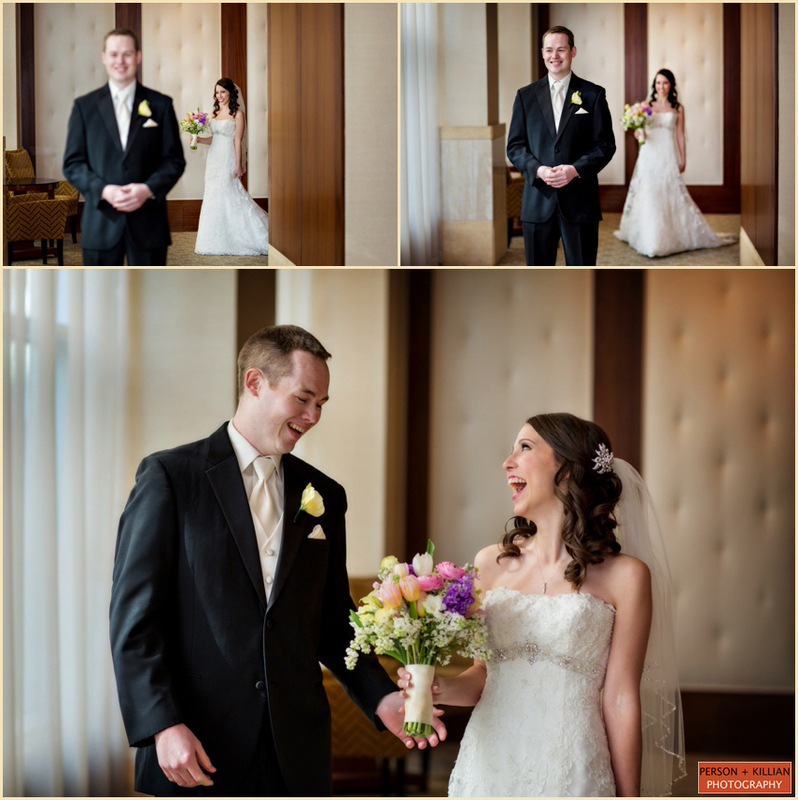 When the soon-to-be newlyweds were ready, we took them downstairs to the Ballroom Foyer for their first look. 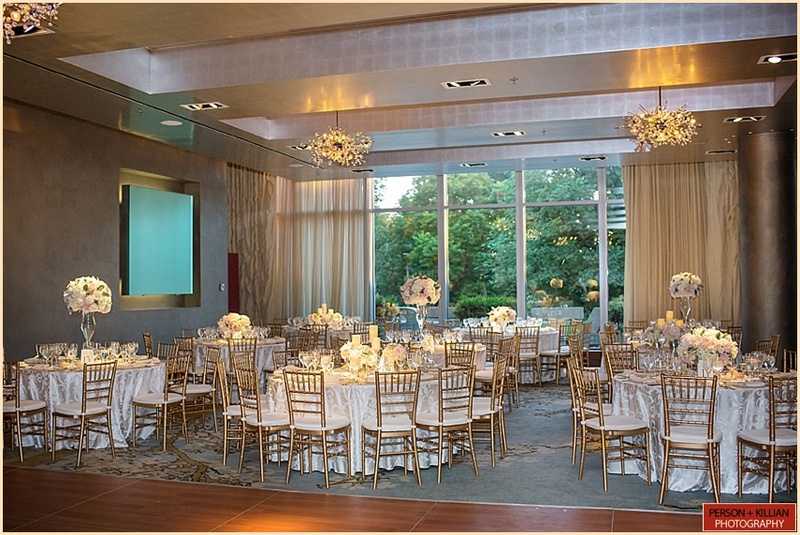 The large windows gave us fantastic sunlight and the fabric textured white walls made for the perfect backdrop for this wonderful moment with the bride and groom. 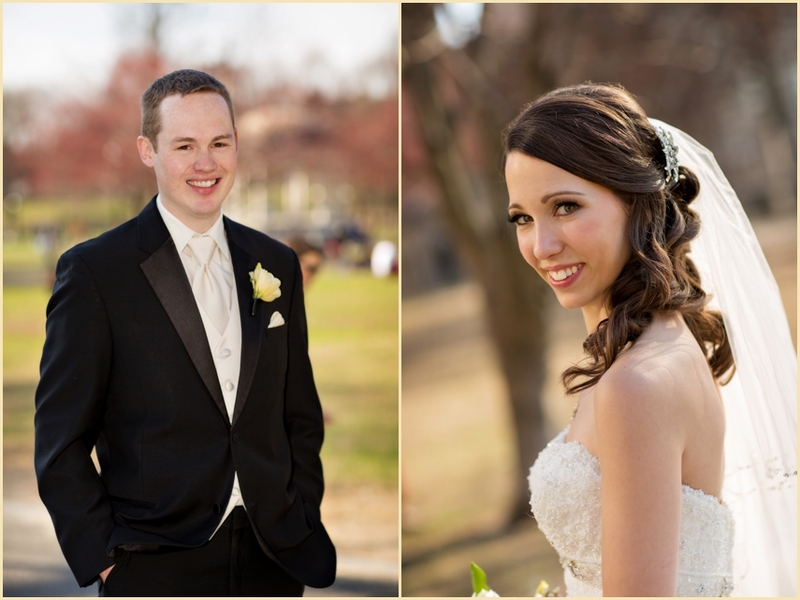 Next, we headed to the nearby Boston Public Garden with Emily, Lou, and their wedding party for some outdoor formal photos on this gorgeous summer afternoon! 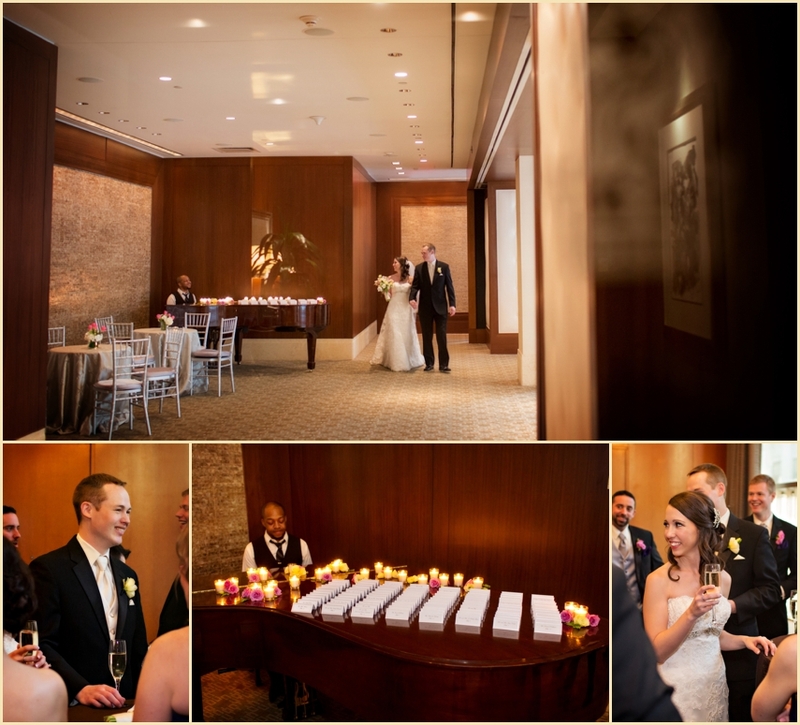 When we returned to the Ritz Carlton Boston Common it was time for the Ketubah signing and traditional Jewish wedding ceremony. 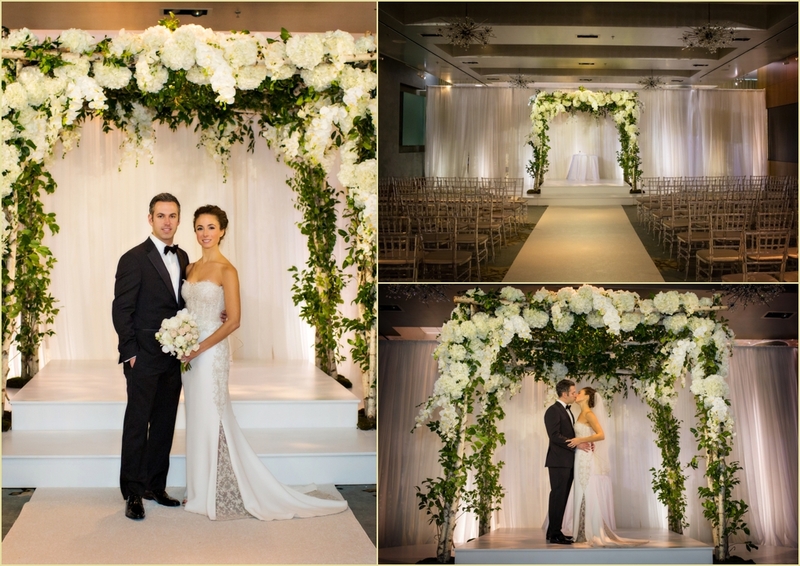 Emily + Lou became husband and wife underneath a beautiful white Chuppah, draped in fabric and featuring arrangements of classic white orchids. 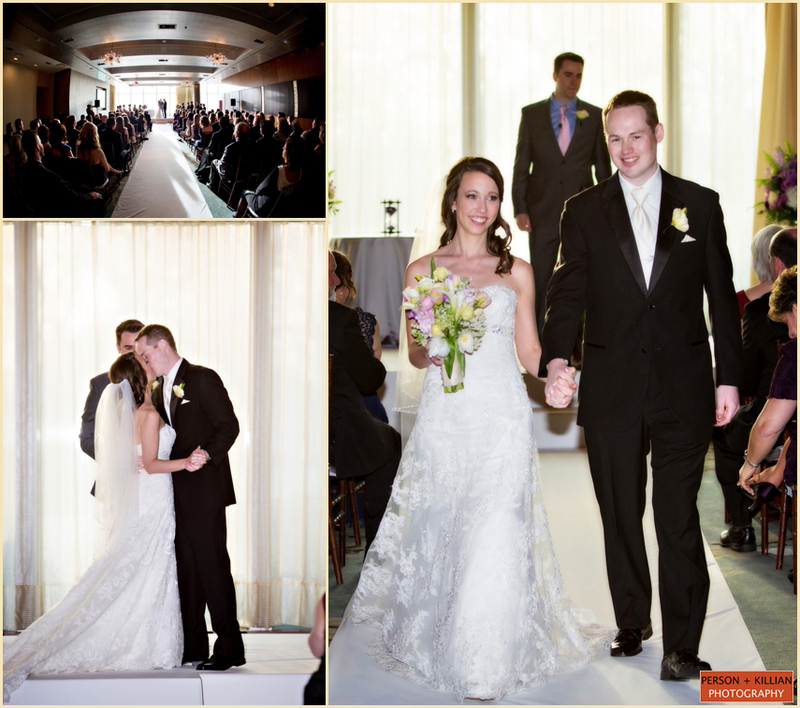 The floor-to-ceiling windows were also hung with soft white drapes that filled the room with beautiful sunshine as the bride and groom said I Do! 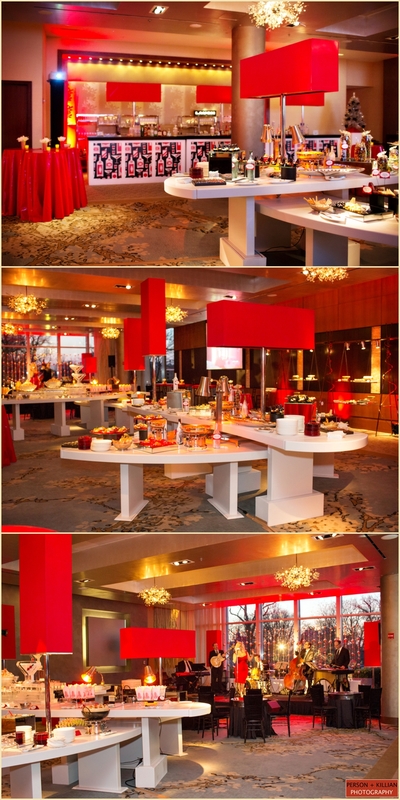 The party moved into the beautiful Studio room for cocktails, while the finishing touches were made to the ballroom inside. 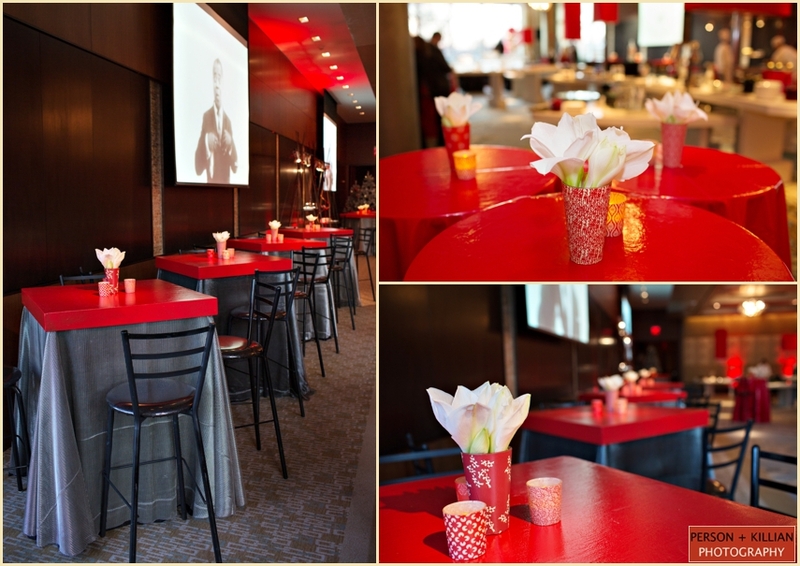 The reception was classic and elegant, featuring a gorgeous mix of tall and short floral centerpieces and fun pops of coral throughout the decor. Emily told us that coral is one of her favorite colors, and it was also the color she was wearing when she met her husband-to-be! 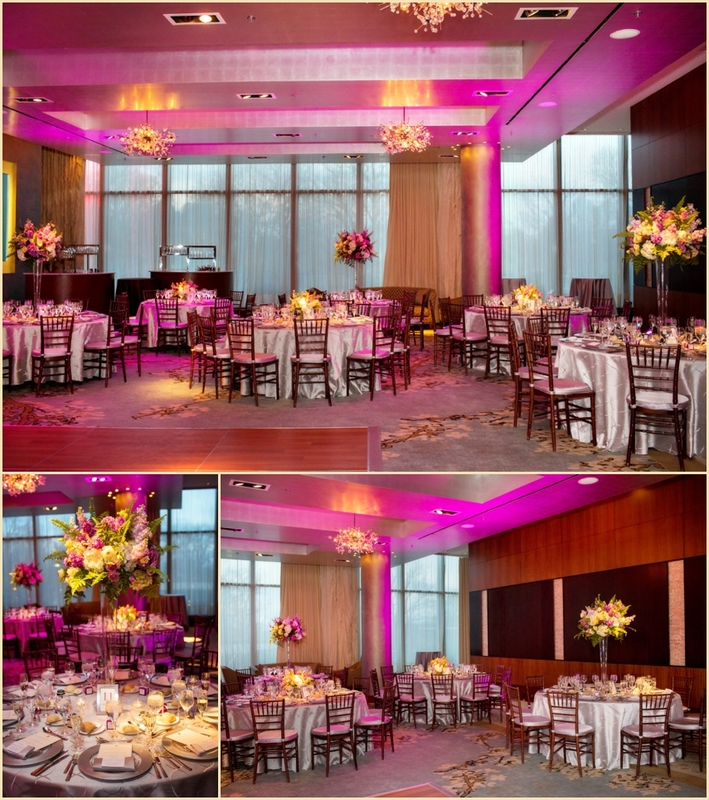 Even the up lighting around the ballroom featured a warm coral light, giving the entire room an intimate and summery glow. 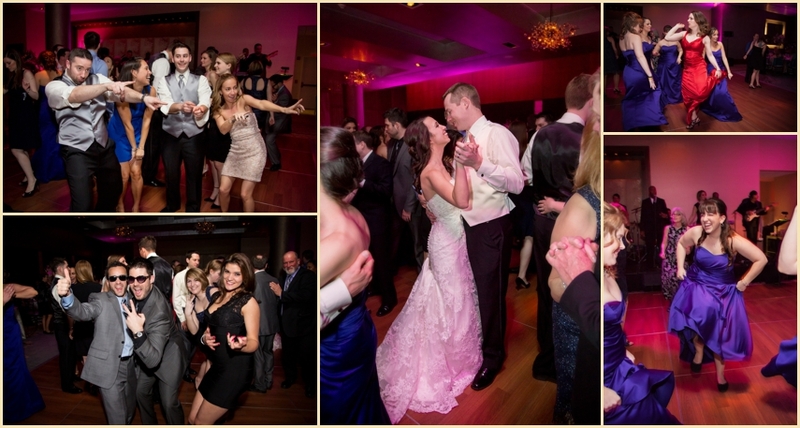 Following the first dance and heartfelt toasts from friends and family, the dance floor was open and the party really kicked off. The groom was even surprised by a special rendition of his favorite song, Happy by Pharrell — he was given a classic Pharrell hat to wear while he danced! At the end of the night guests took home delicious chocolate chip cookies, brought in that morning especially for the wedding from one of Emily + Lou’s favorite bakeries in Philadelphia. 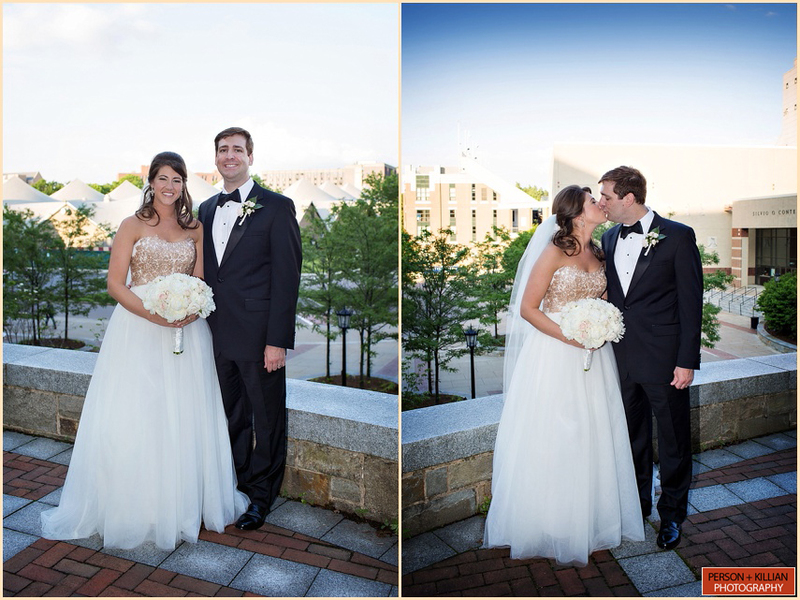 We could not have asked for a more gorgeous wedding day for this wonderful couple — special thanks to the entire team at the Ritz Carlton Boston Common for another spectacular event, and to Emily + Lou for letting us share this special day with you! Mazel Tov! 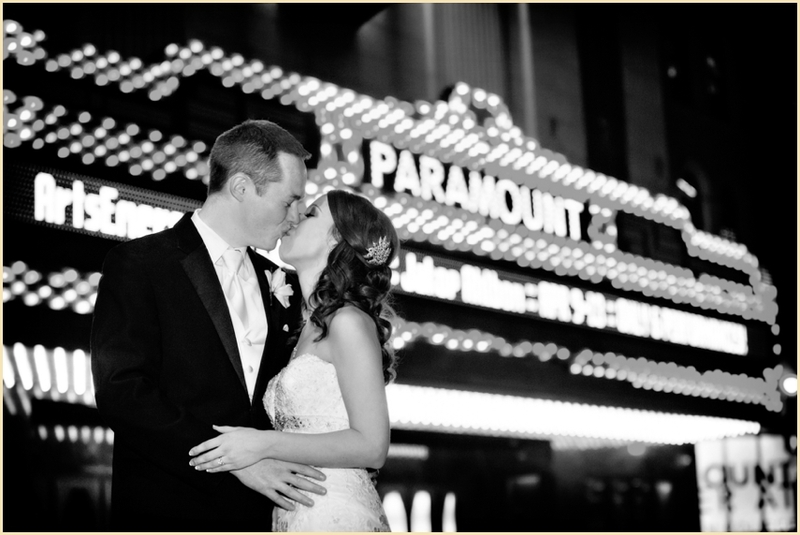 Summer is in full swing for us and we are having such a great year with all of our wonderful couples. 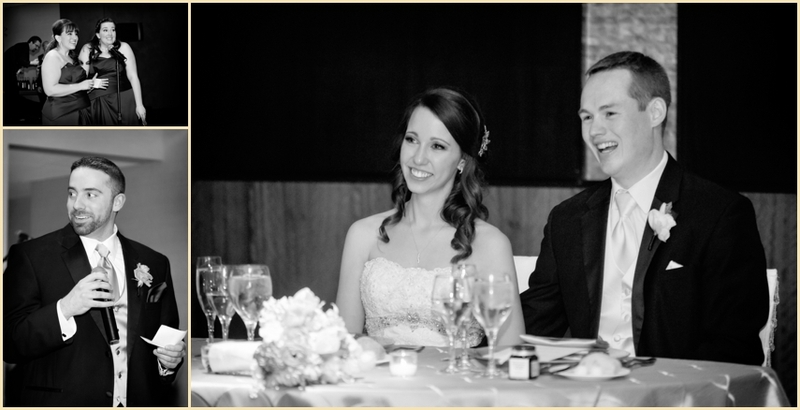 Following the recent wedding of Nicole + Trent at the Ritz-Carlton, Boston Common we asked the newlyweds to describe the story of their beautiful wedding day. “While neither of us are from Boston, my family lives there now, and it’s become a bit of an adopted hometown. With most guests traveling from out of town to attend, we wanted to find a reception spot that showcased all the fantastic things the city has to offer. We also wanted to make sure the food was exceptional. (We’re Italians – enough said). 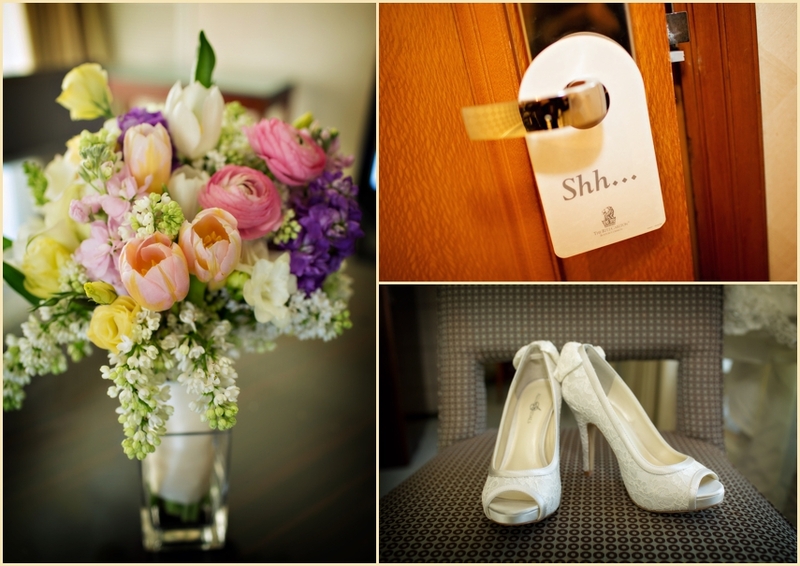 We found all this and more with the Ritz Carlton, Boston Commons. Working with Ralph Black at the Ritz was a dream. 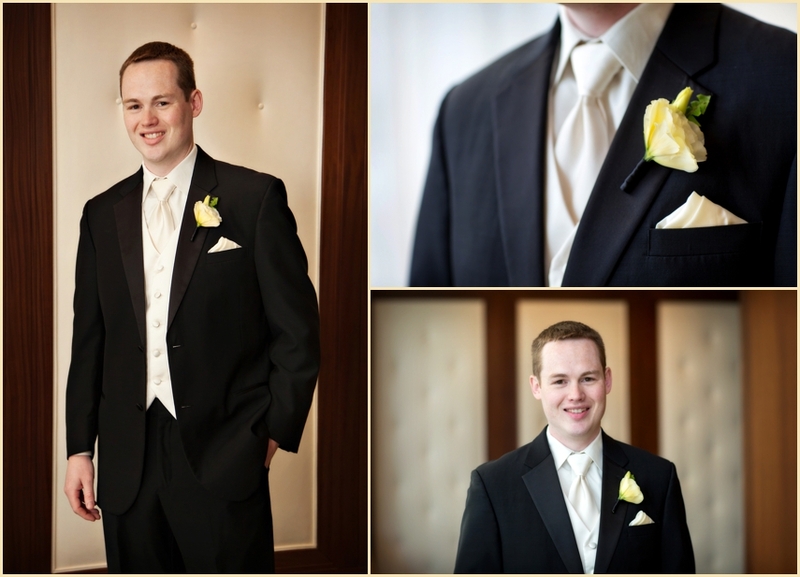 He and his team thought of everything, and made the entire experience, from the year-long planning to day-of execution, special, fun and easy. 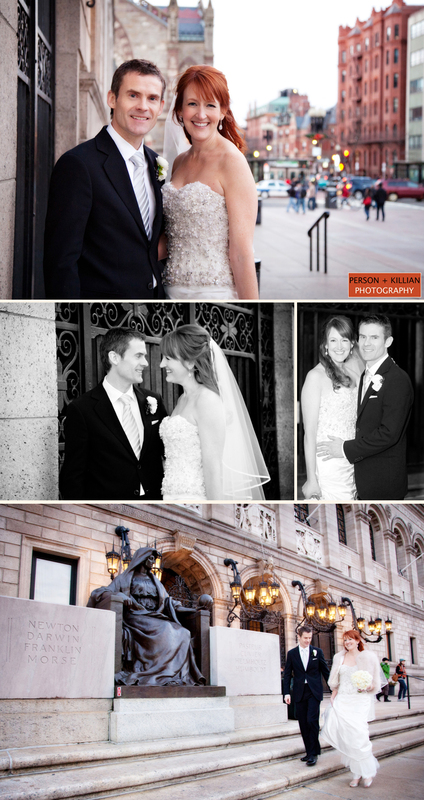 Trent and I felt like royalty throughout the process, and then the wedding weekend itself took things to the next level. 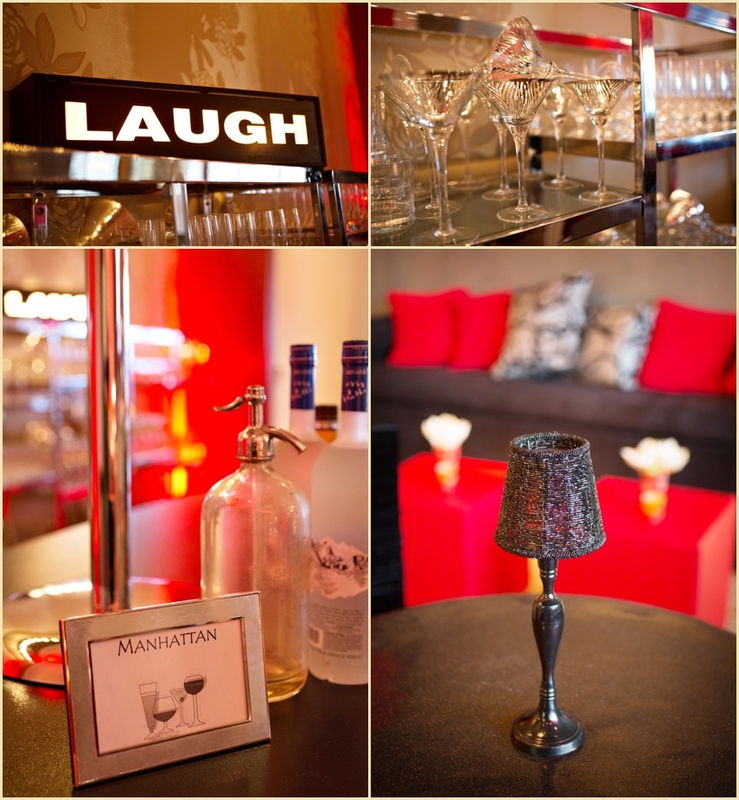 Our guests are still talking about the exceptional service. 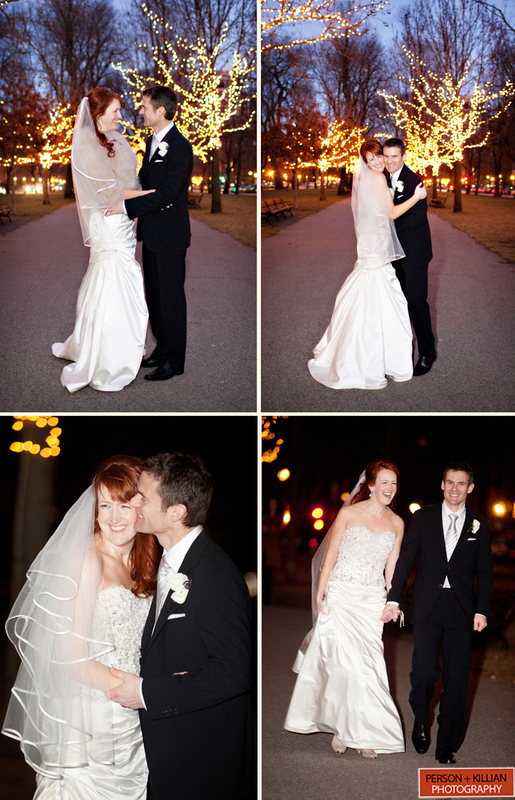 I feel like the wedding day came and went too quickly! 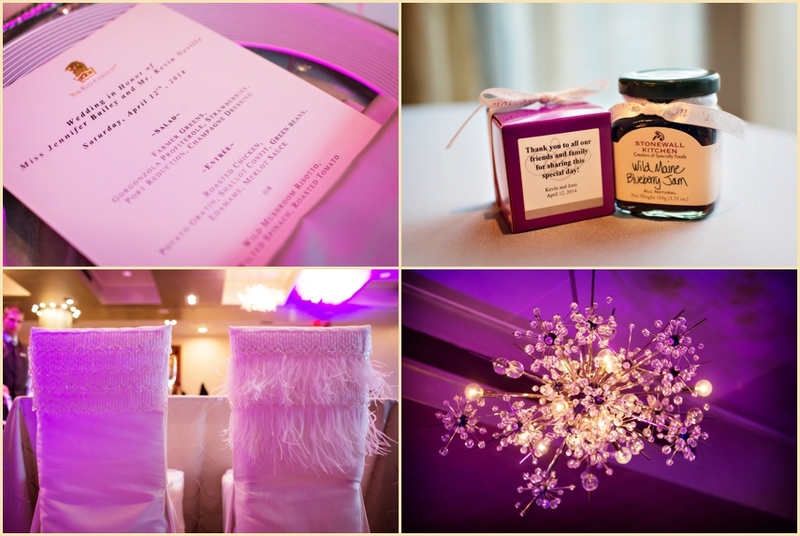 We had a great team of vendors, that worked seamlessly together and the day flowed perfectly. 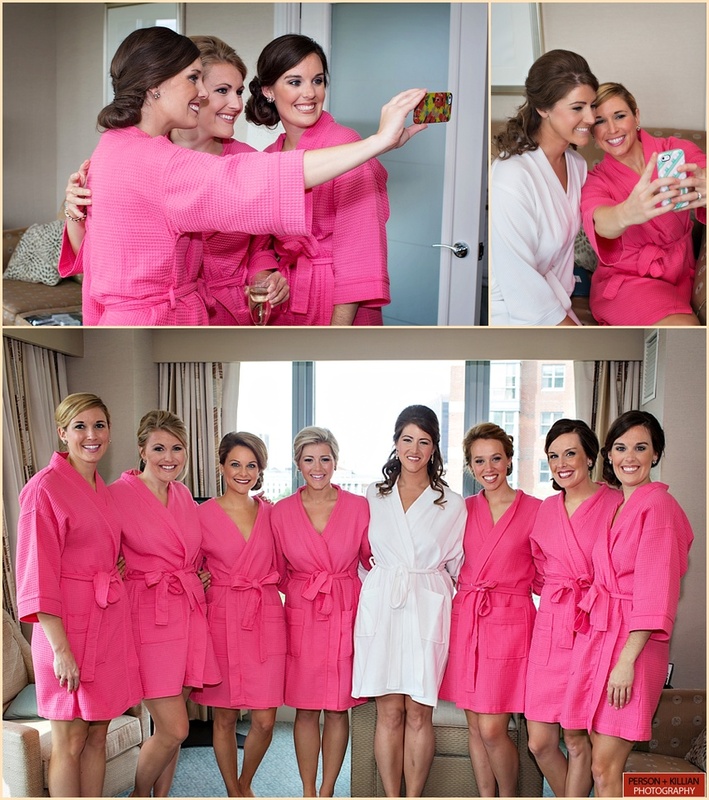 Getting ready with my bridesmaids and mom in my suite was so fun, while Trent and his groomsmen did the same in his. I remember at one point sitting in the make-up chair, overlooking the incredible view we had of the Commons, and feeling beyond blessed. 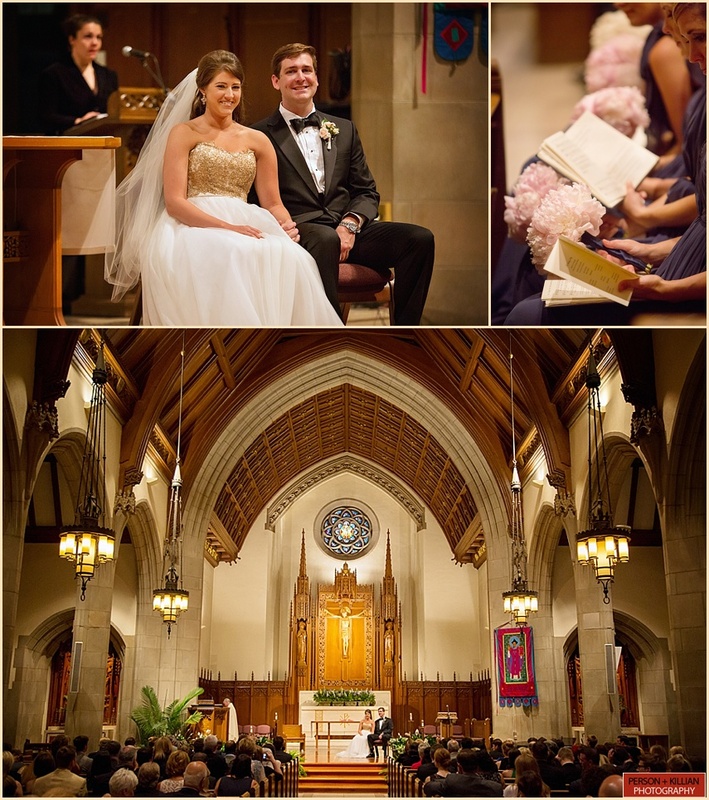 Our ceremony was held at St. Ignatius of Loyola Parish, on the campus of Boston College, where my parents are parishioners. The service passed by in a blur (probably not to our guests- it was a full Catholic mass!) — but it was extremely meaningful to both Trent and I, as our officiating priest has been a huge blessing to us during the marriage preparation process. The homily he gave made the large wedding feel intimate, and truly conveyed how Trent and I felt about the rite of marriage itself. Afterwards, we took the majority of photos around campus. With a bridal party full of Florida Gators (including the two of us! ), everyone swallowed their pride and had a great time taking shots in landmark areas around BC. 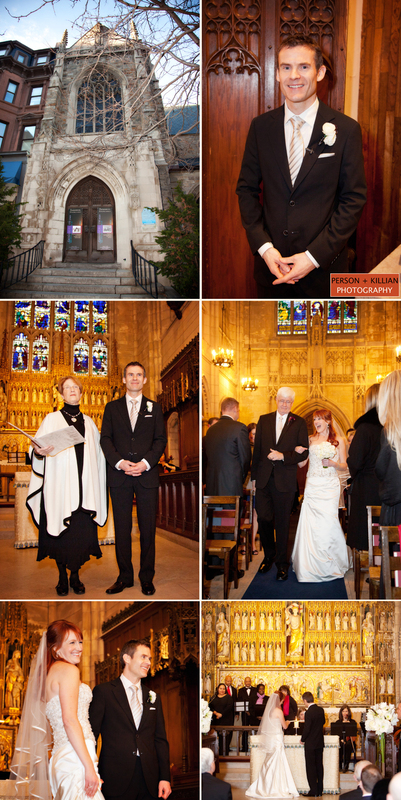 The reception could not have been more perfect…. And it passed by so quickly, despite being 5 hours long! It was an incredible night. 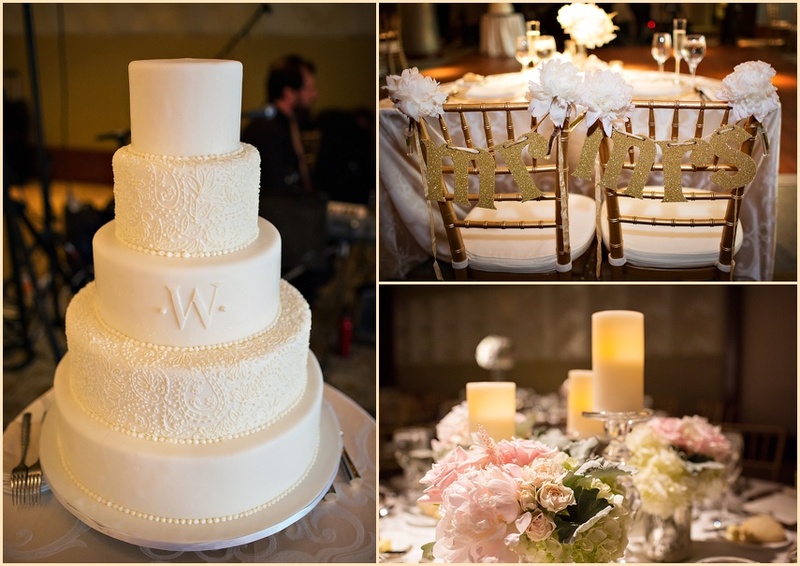 My vision was classic elegance, with soft colors and gold details. 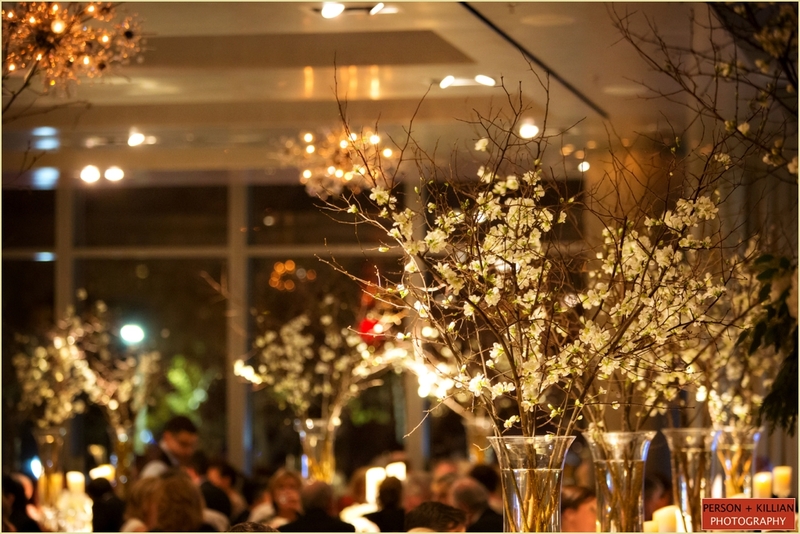 Mimosa, our florist, created just that. 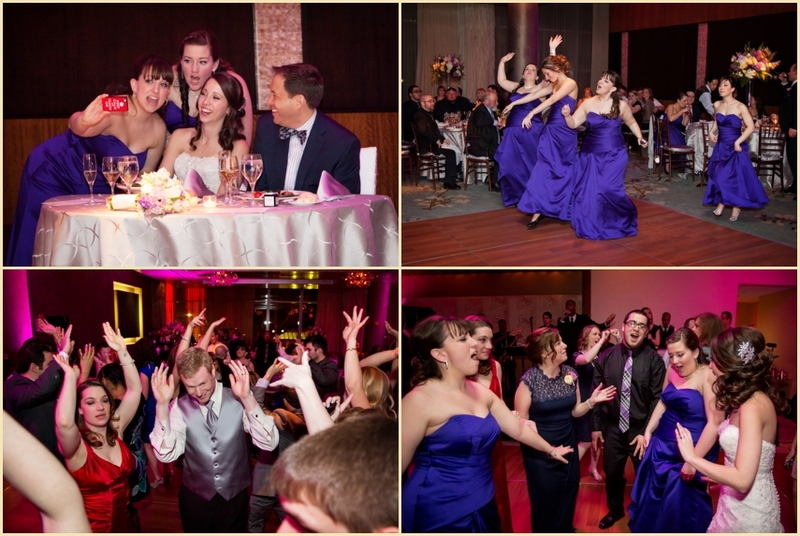 We also wanted our guests to have FUN. 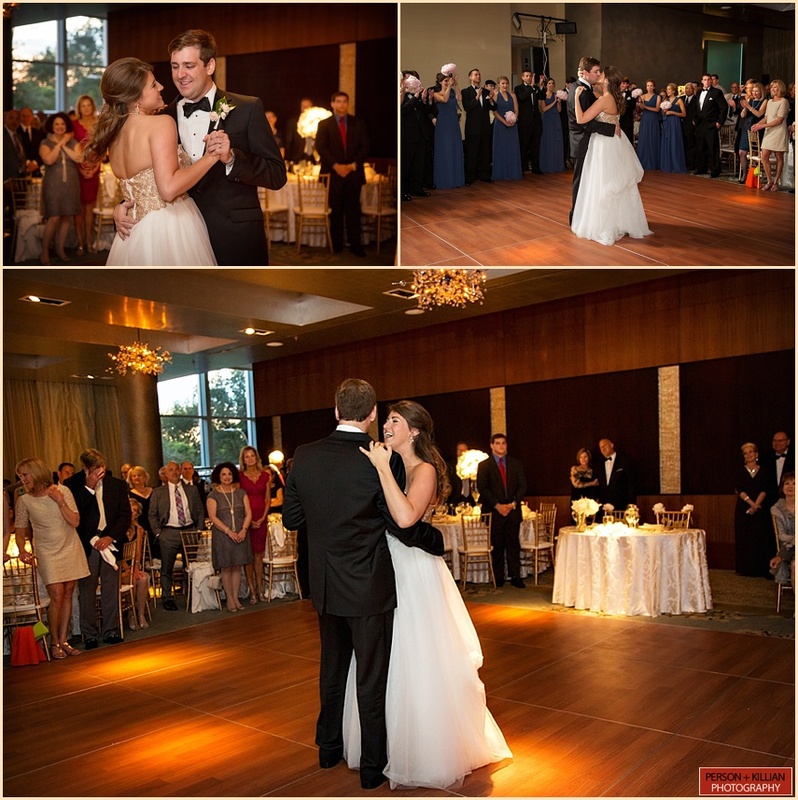 The dance floor started to heat up before the first course was even served, so it’s safe to say they did! Our band, Groove Authority, did a great job playing to the crowd, and before we knew it, everyone (and I mean EVERYONE) was dancing. The icing on the cake (pun intended) was just how phenomenal the food was. And it was endless … another Italian requirement. 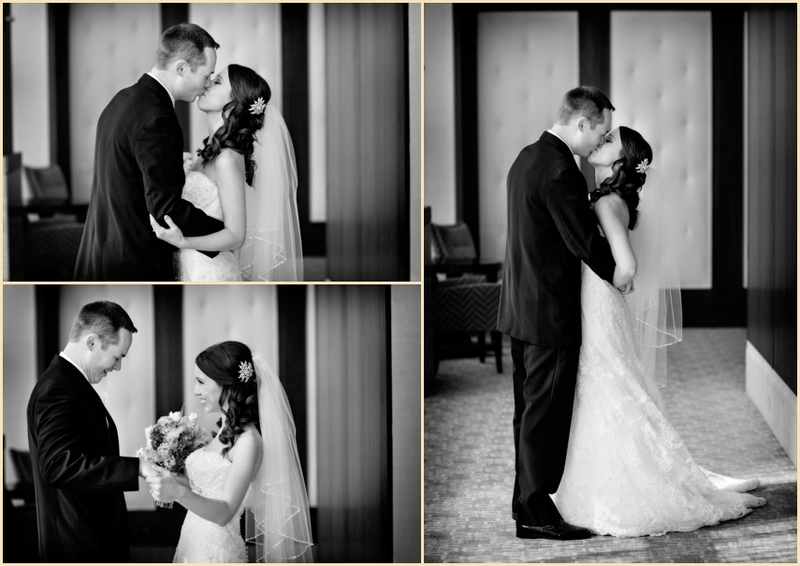 Thank you so much Nicole + Trent for sharing the story of your day with us and congratulations again! 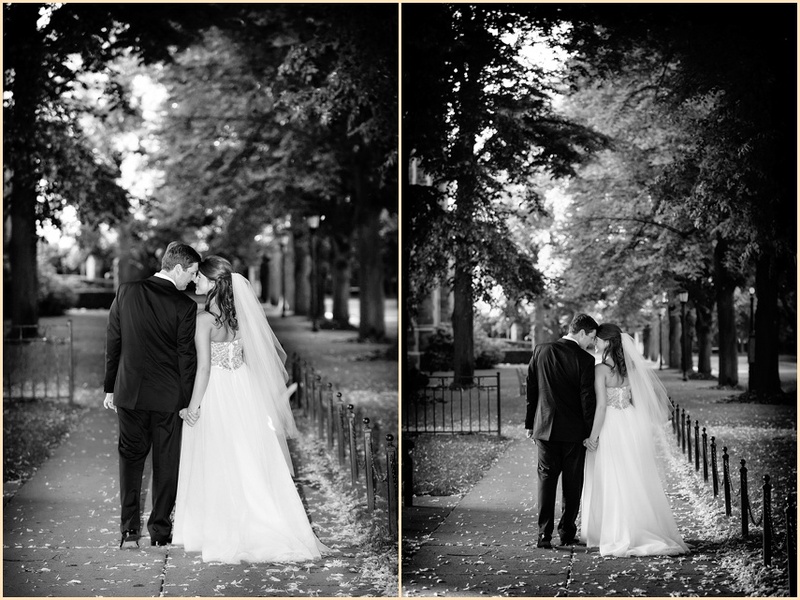 It was truly a pleasure capturing your wedding day. 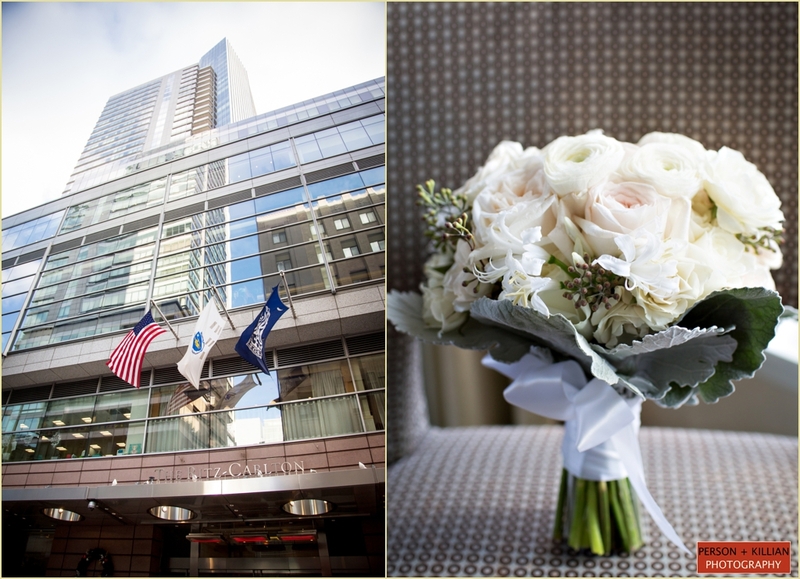 And as always, a big thank you to Ralph and his team at the Ritz-Carlton, Boston Common for being so wonderful to work with! 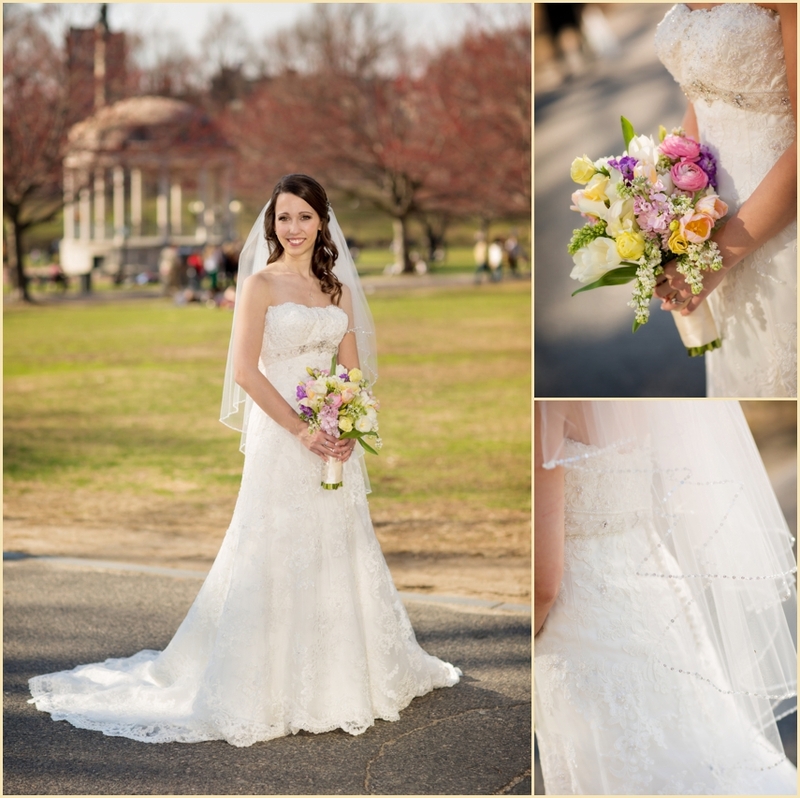 Spring is finally in the air, and Jennifer and Kevin had the perfect spring weather for their elegant Ritz-Carlton Boston Common wedding. 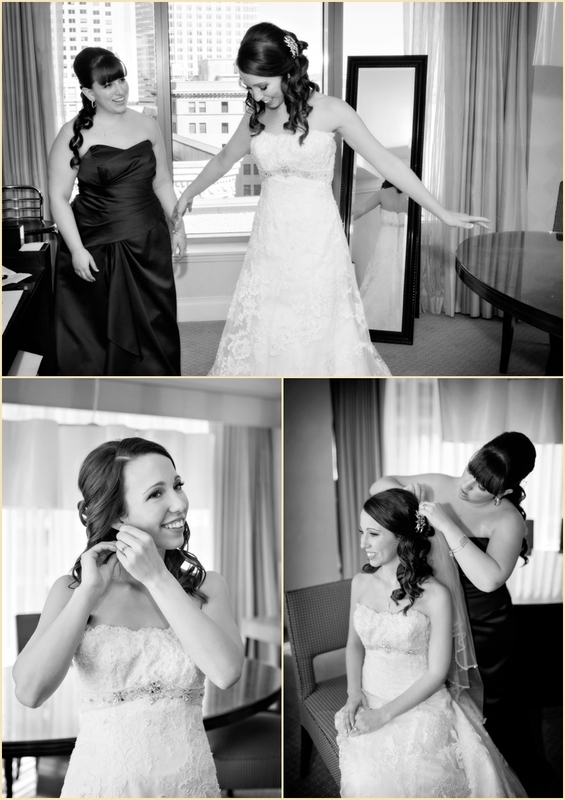 We started the day in the Ritz-Carlton bridal suite with Jennifer and her bridal party. 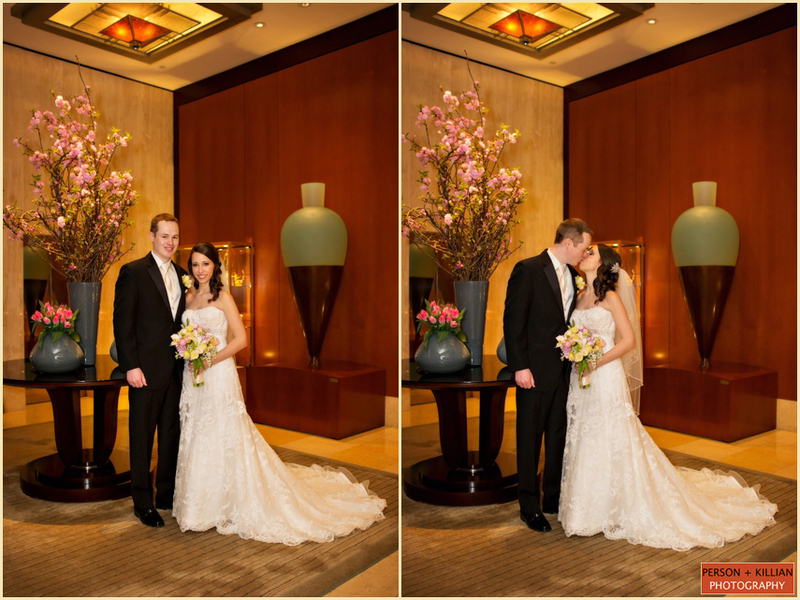 Jenn met Kevin just outside the ballroom where the spring sunlight was perfect at this time of day and came pouring in through the windows for their first look making for some stunning images. 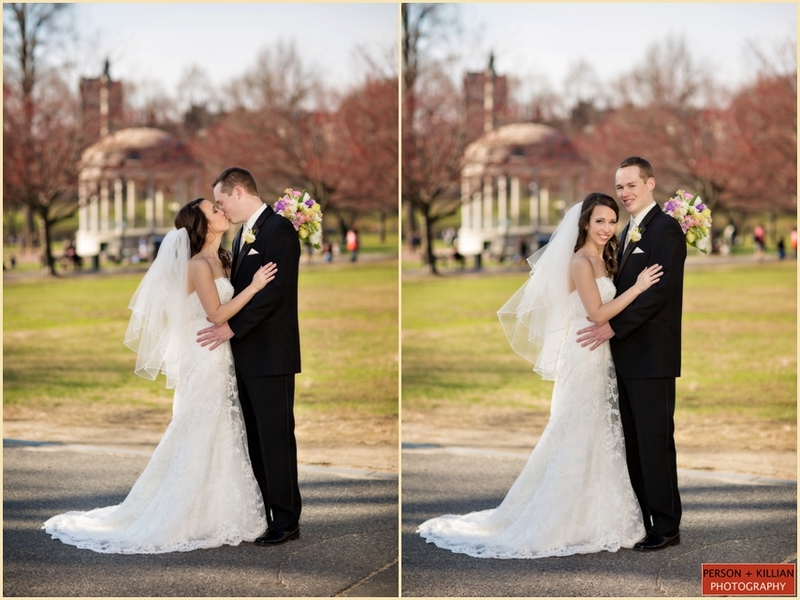 Following the first look and a few photos of the wedding party, we headed across the street to the Boston Common for some outdoor formal portraits. All the snow had melted and the sun was shining, it was a perfect day to be outside in Boston! 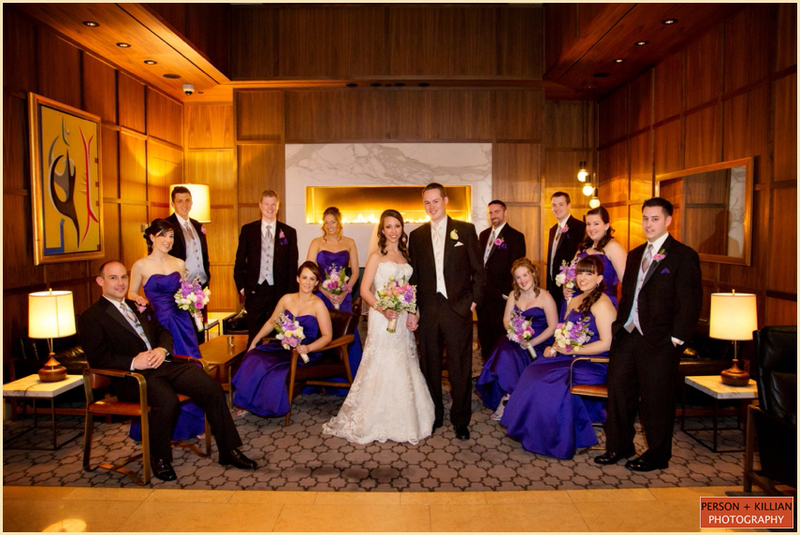 The wedding ceremony took place in the Ritz-Carlton Boston Common Ballroom. 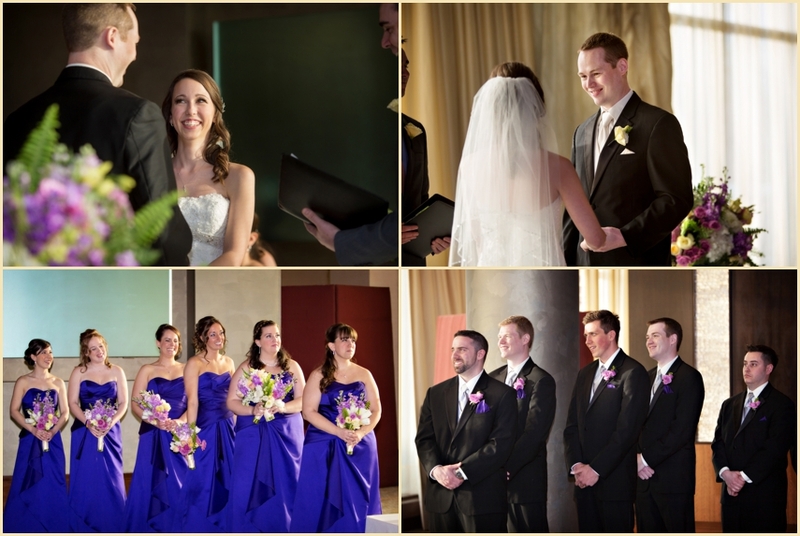 Arrangements of purple, white, and yellow flowers adorned each side of the altar in silver-studded pillars, and the late afternoon sunlight from the ballroom window gave the room a beautiful romantic glow as Jenn and Kevin said their “I do”s. 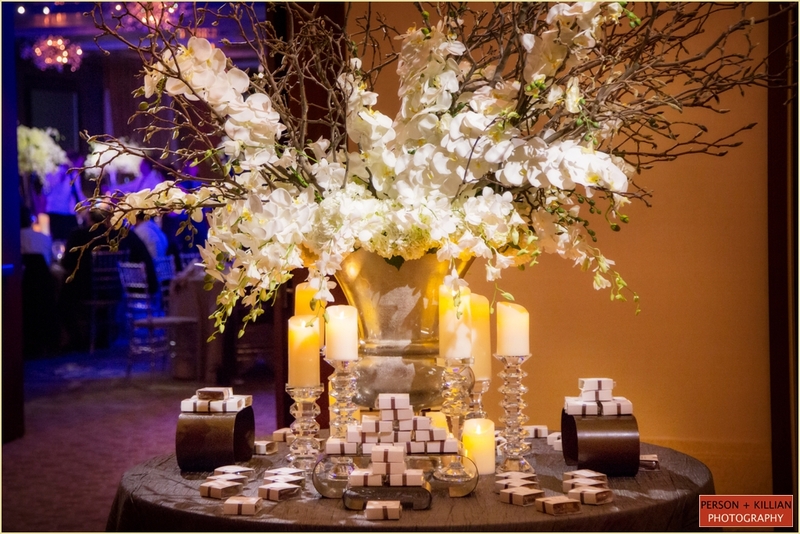 While guests enjoyed cocktails in the Ritz Studio Room & Foyer, the ballroom was transformed into an elegant spring reception. 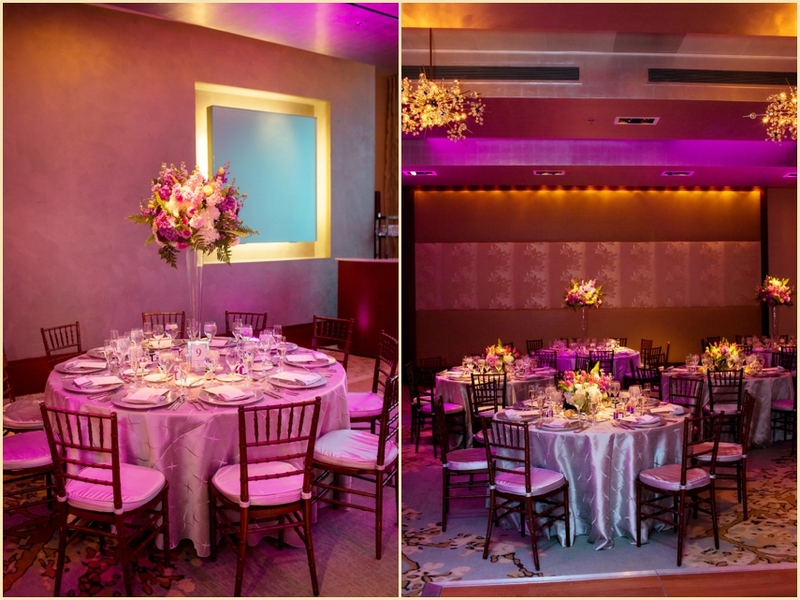 Tables were topped with silver linens and a mix of high and low spring floral arrangements in bright colors of yellow, green, white, and purple. 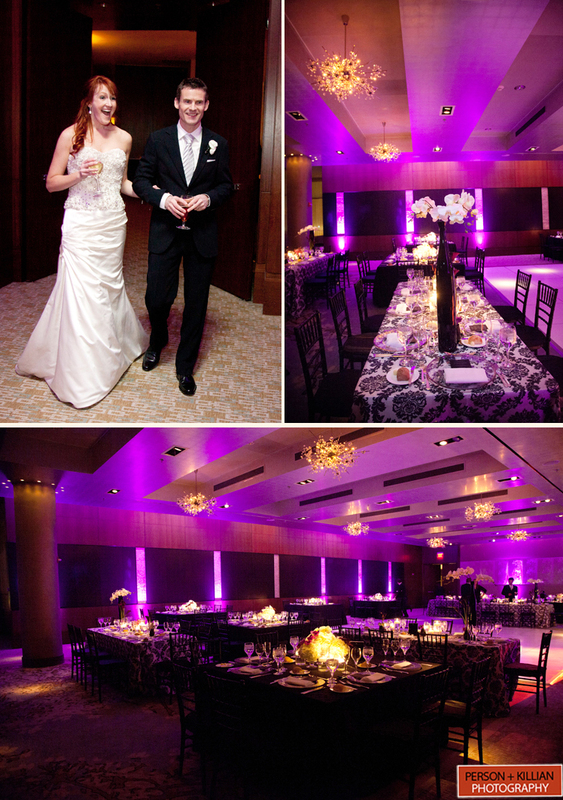 A wash of beautiful purple uplighting covered the walls and ceiling, giving the entire room a great pop of color while each of the centerpieces was lit with individual pinspots to really make them stand out. 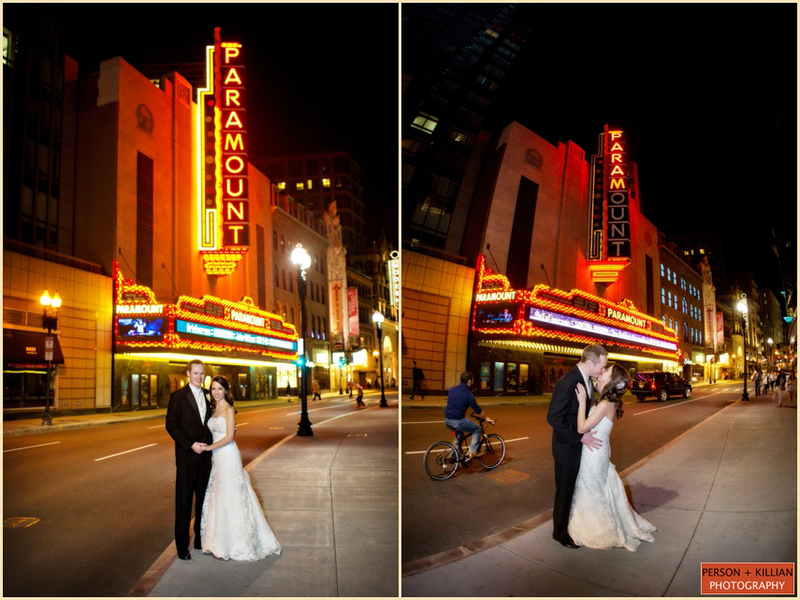 Jenn is a big fan of theater so we were thrilled when the couple asked us to sneak outside for a few minutes during dinner to the Paramount Theater for a few city night images of them. 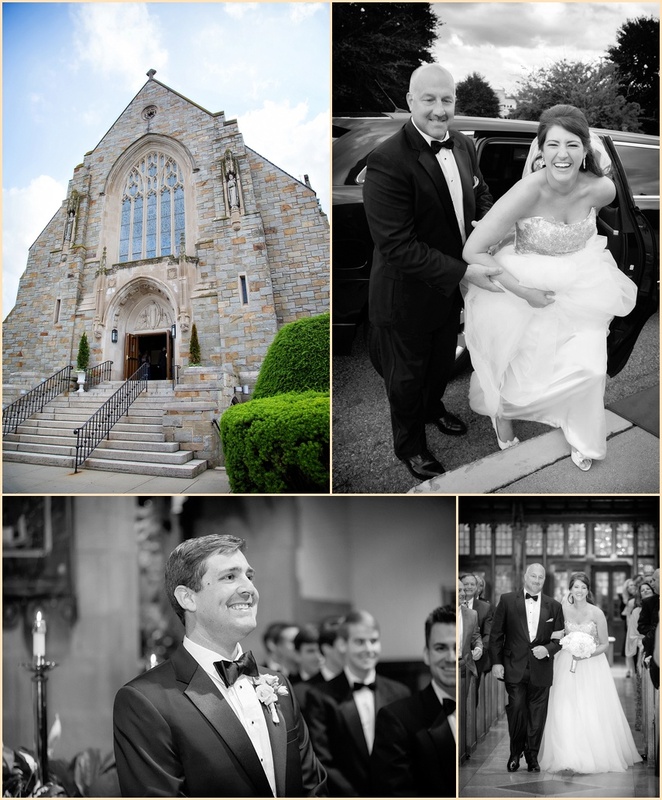 This was a wonderfully elegant spring wedding, and we were so happy to be able to share it with such a great couple. 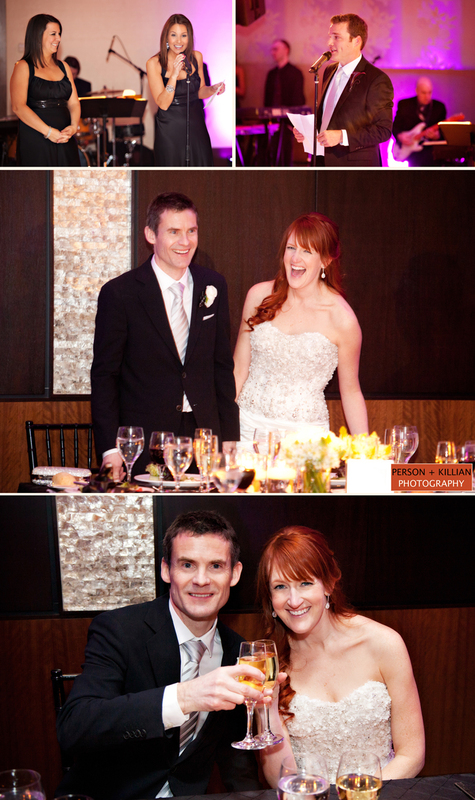 Special thanks to the entire team at the Ritz, as well as the bride’s uncle Eric who coordinated this beautiful wedding! 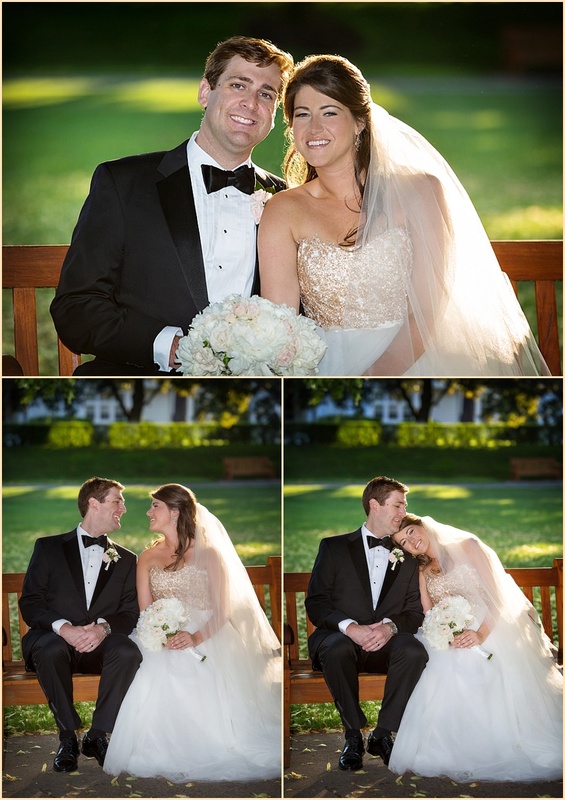 Congratulations Jennifer + Kevin! 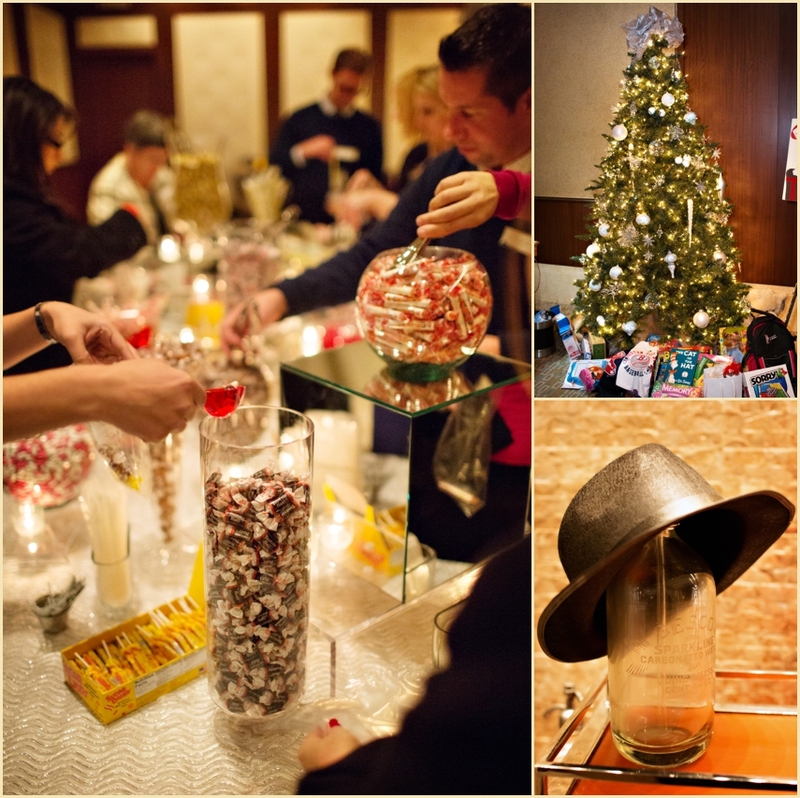 Each year, the Ritz-Carlton Boston Common puts on a holiday soirée and is always one of our favorite events of the year to attend and photograph. 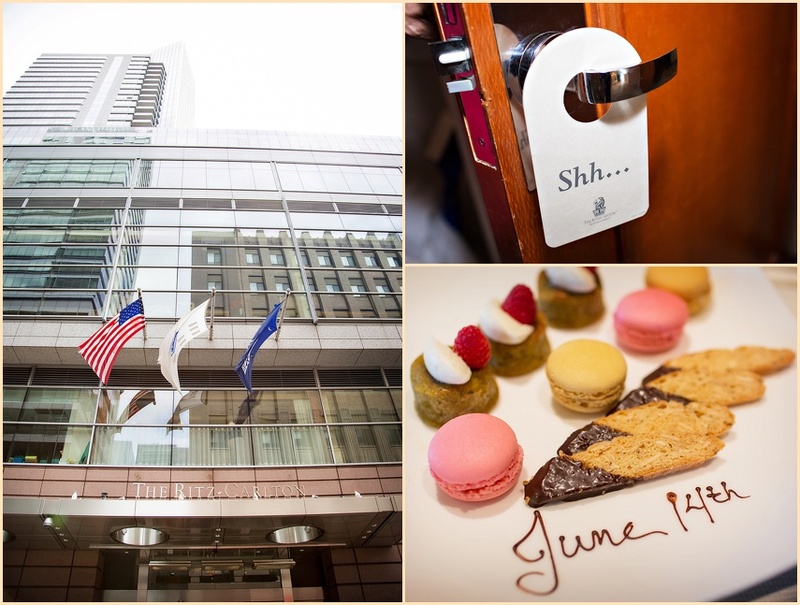 Newly imagined and creative cuisine presentations, raffle prizes that will take you around the globe, and great company make for a truly unforgettable evening at the always beautiful Ritz-Carlton Boston Common. 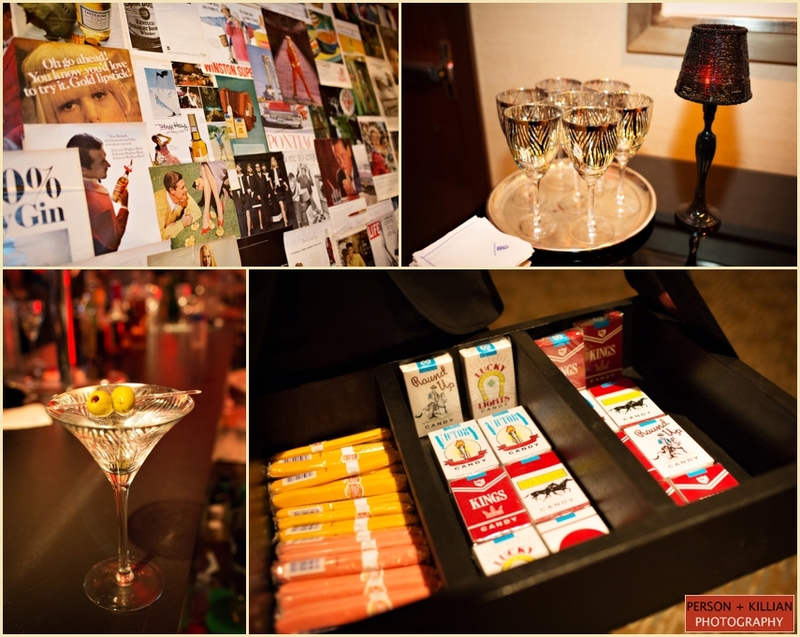 This year’s event was a themed cocktail party inspired by the hit television show Mad Men. 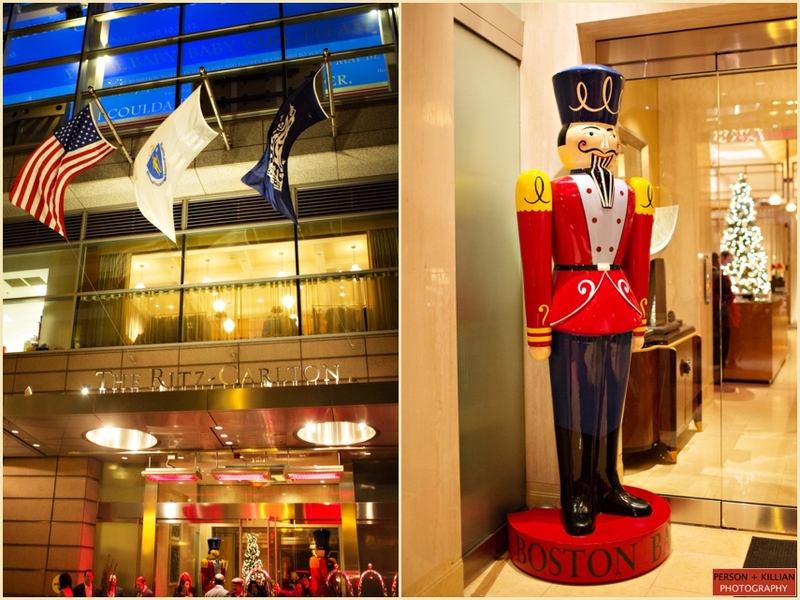 The Boston Ballet donated two of their large nutcracker toys to stand guard at the Ritz-Carlton Boston entrance for this annual soirée. This year there was an extra treat — a matching nutcracker made entirely out of macaroons. 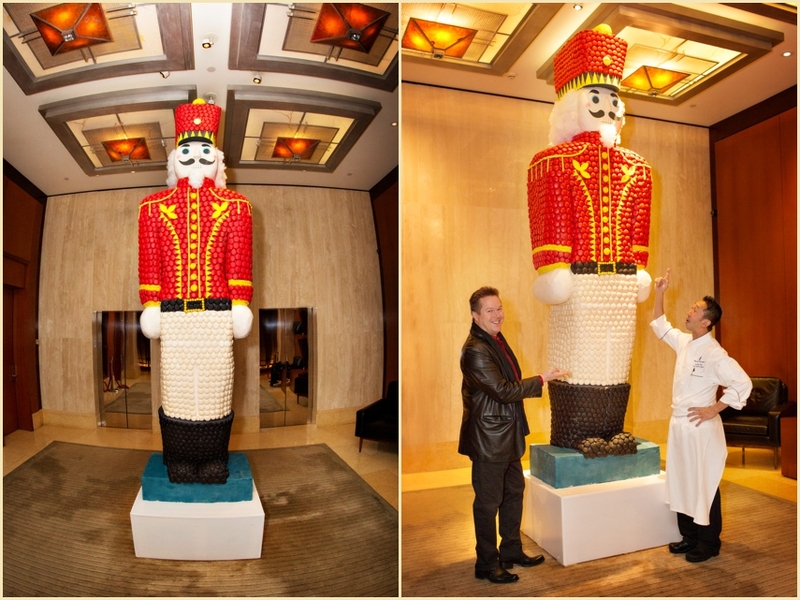 Ritz Carlton Boston executive chef Andrew Yeo spent weeks creating this sweet masterpiece — using over 2,000 individual macaroons for a jaw-dropping nutcracker standing over 14 feet tall. 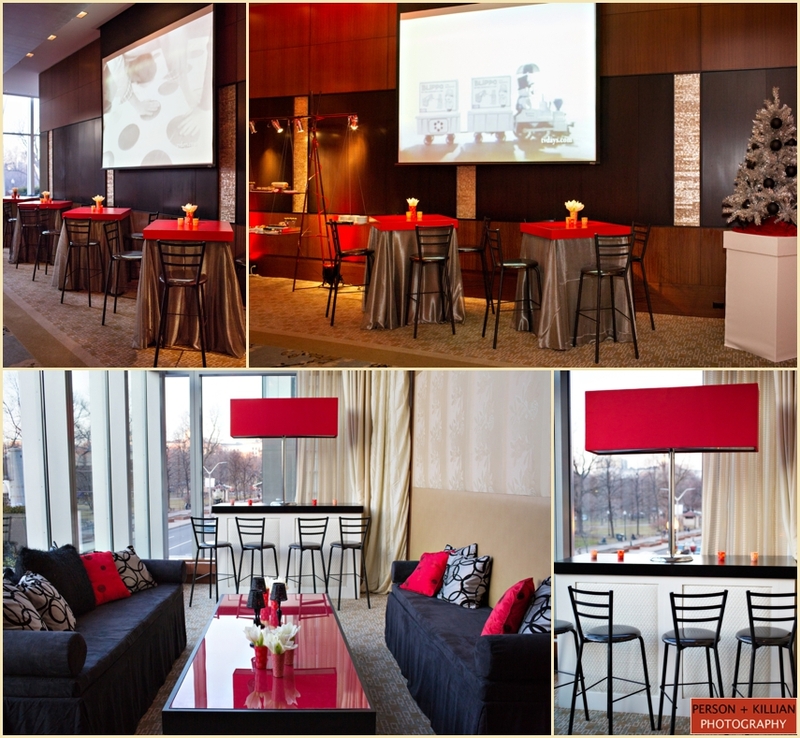 The event space including hotel ballroom were decorated in classic colors of red, white and black, and featured authentic retro furniture pieces such as couches, coffee tables, and an antique television set. 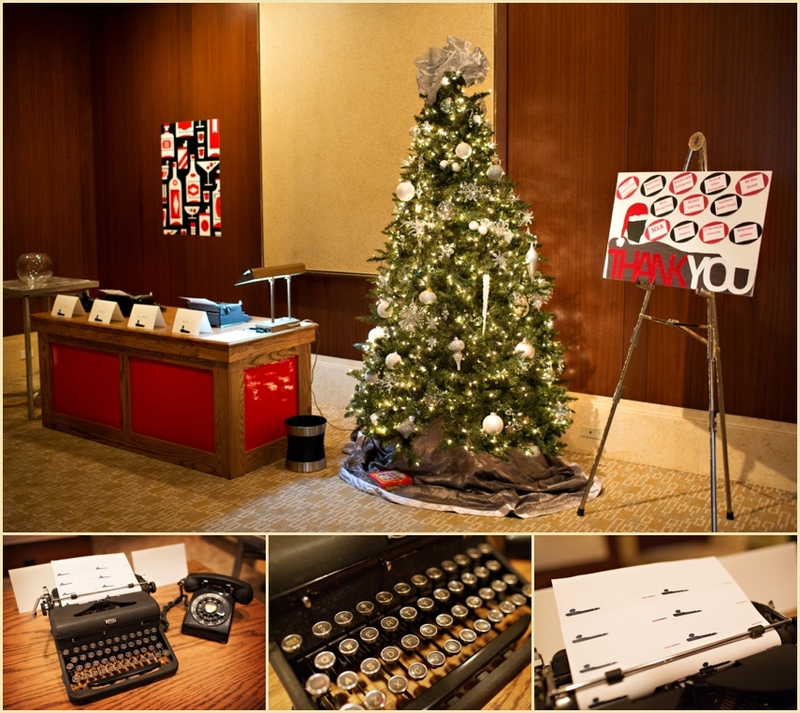 Guests had their name tags typed up on traditional 1960’s typewriters, and large projections filled with walls with classic black and white TV commercials played all night long. 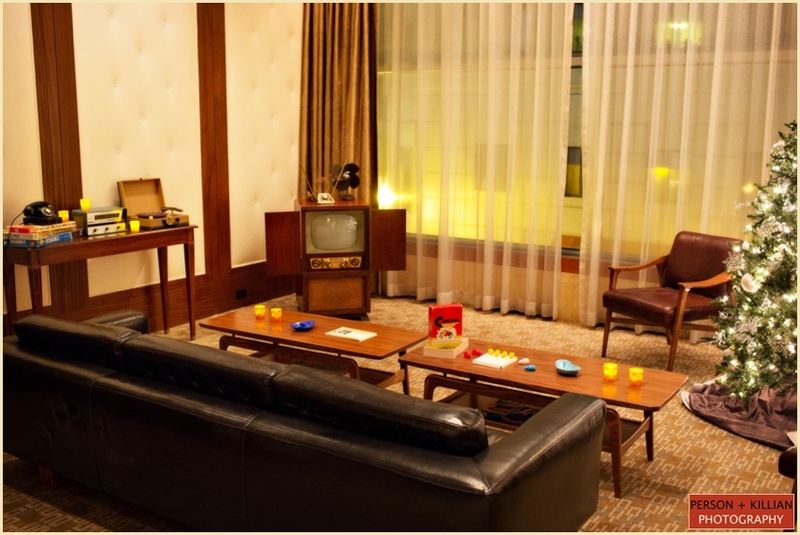 Be Our Guest provided all of the decor and retro furniture pieces, including a deluxe white bar with custom Mad Men patterns, black suede couches, stunning curved white food station tables, and glass-topped black and red cocktail tables. 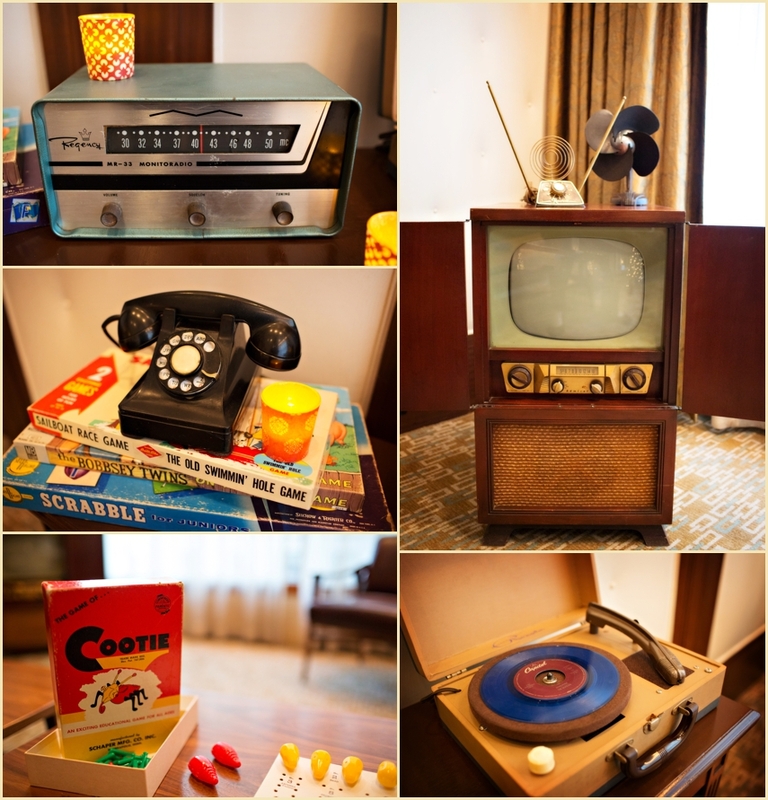 Guests enjoyed mouth watering hors d’oeuvres and classic Mad Men cocktails all night long, and the evening ended with a retro candy bar full of everyone’s favorite 1960’s treats — from Tootsie Rolls to Lemon Drops. 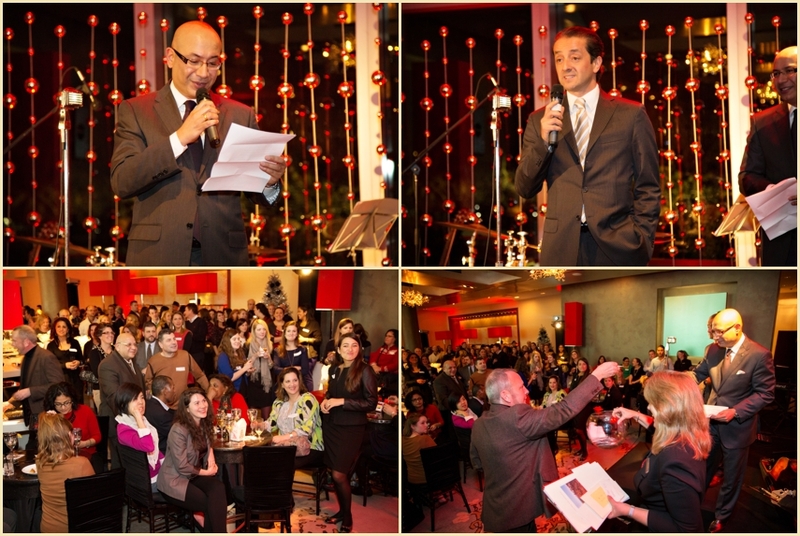 Several lucky guests won incredible prizes from American Airlines and the Ritz-Carlton, including trips to New York City, California, and a grand prize trip to Spain! Guests were also asked to bring a special gift for the children of The Home for Little Wanderers, as a part of their Big Wishes for Little Wanderers Holiday Drive. 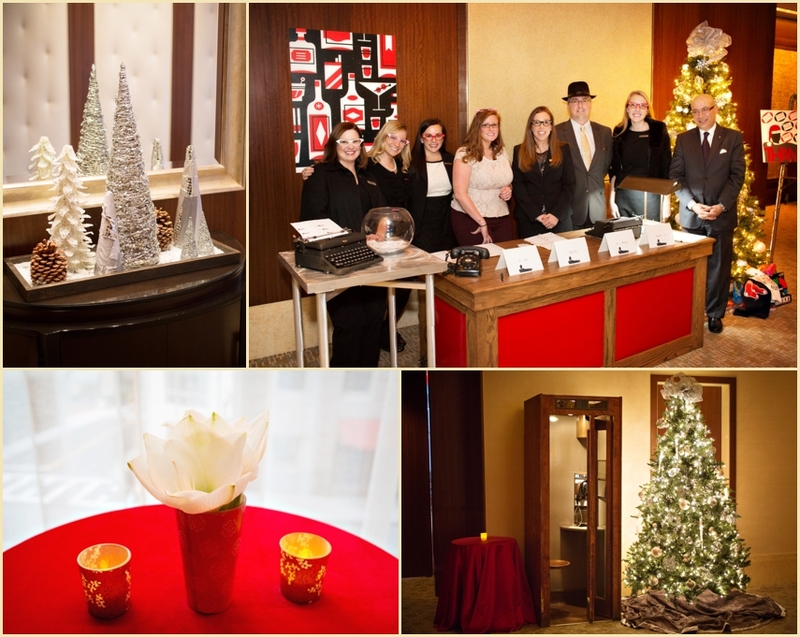 We are always so thrilled to be a part of this annual holiday celebration — a big thank you to the Ritz Carlton Boston for having us there at your beautiful event! 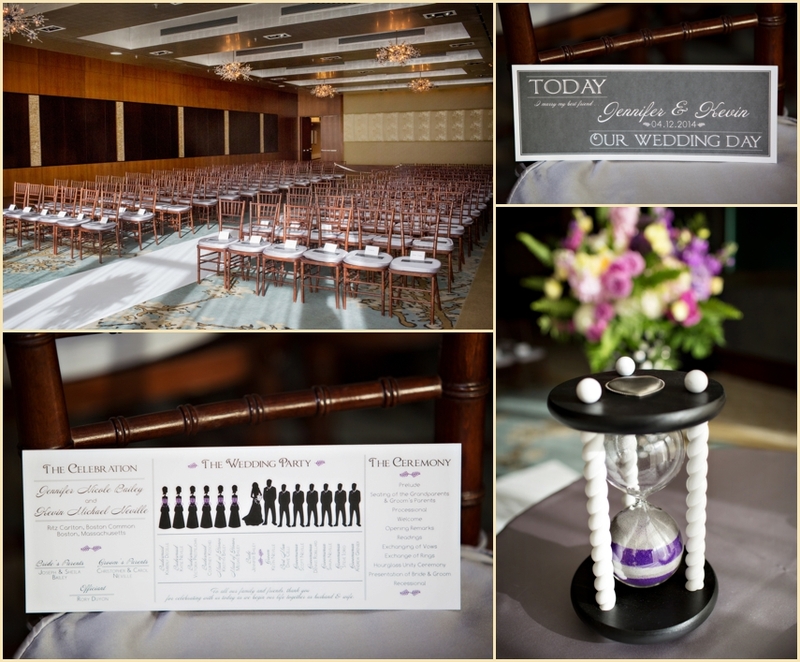 Ritz Carlton Boston Wedding Modern White with Miami-chic style inspiration! 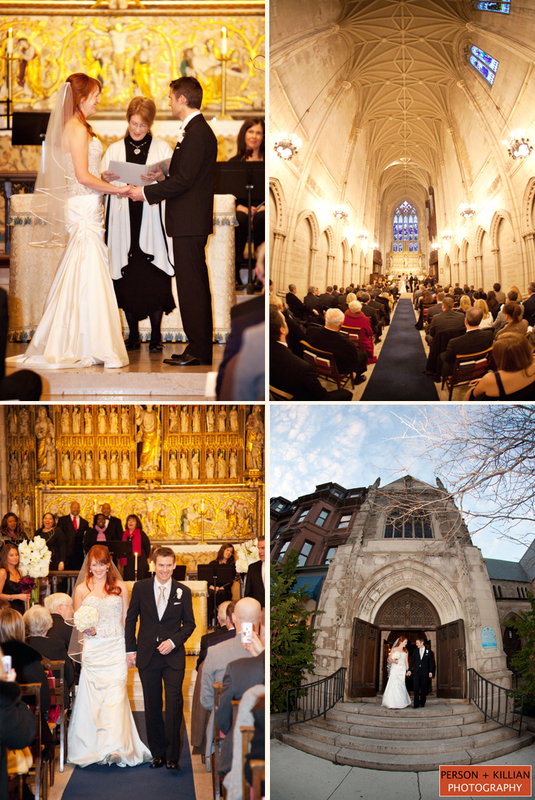 The best way to describe Kate + Brad’s Ritz Carlton Boston wedding is – a modern white wedding with punches of sparkle and Miami-chic style inspiration! We have known Kate for a few years. 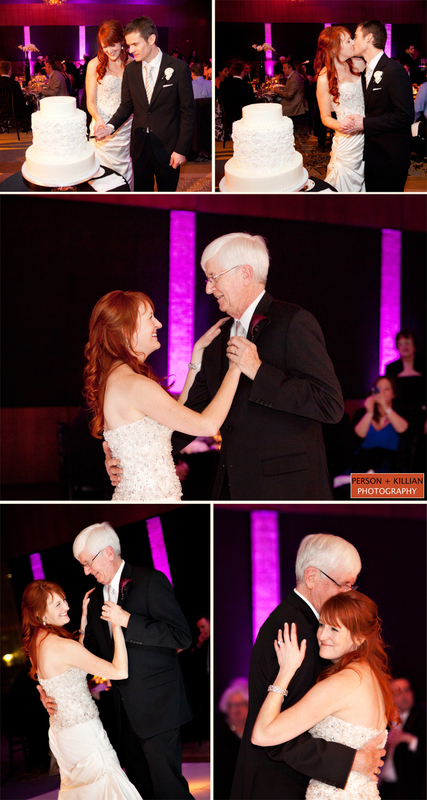 She works in the wedding industry and is one of the sweetest people we know. 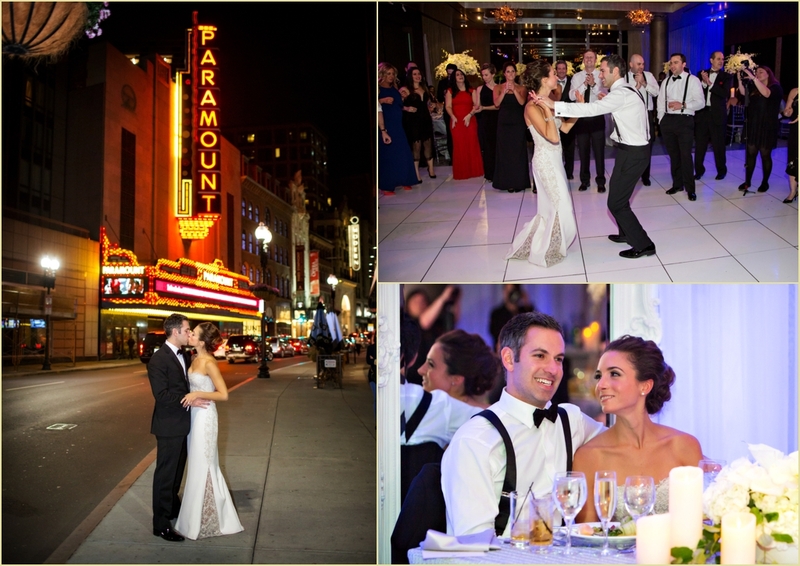 When she hired us over a year ago, we were thrilled! Kate is beautiful, lovable, easy to work with, full of expression and has amazing taste. 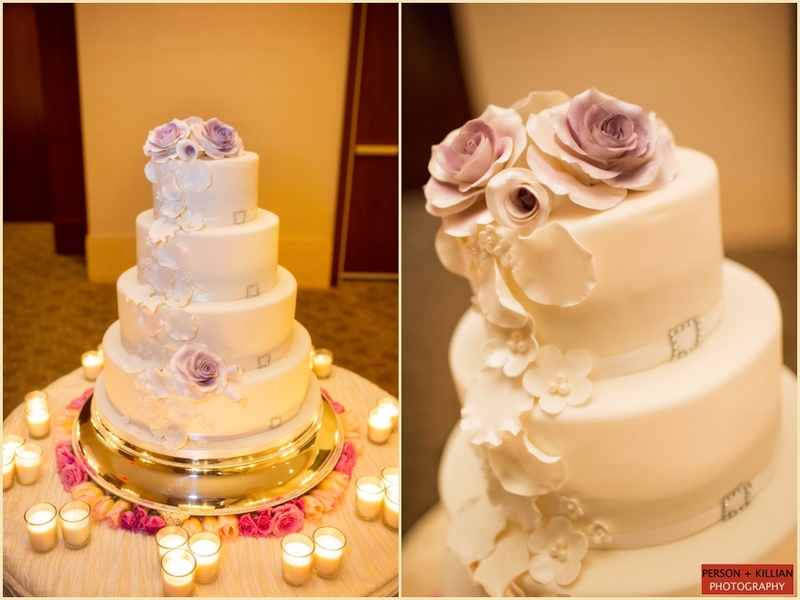 So of course, the end result was nothing less than stunning! 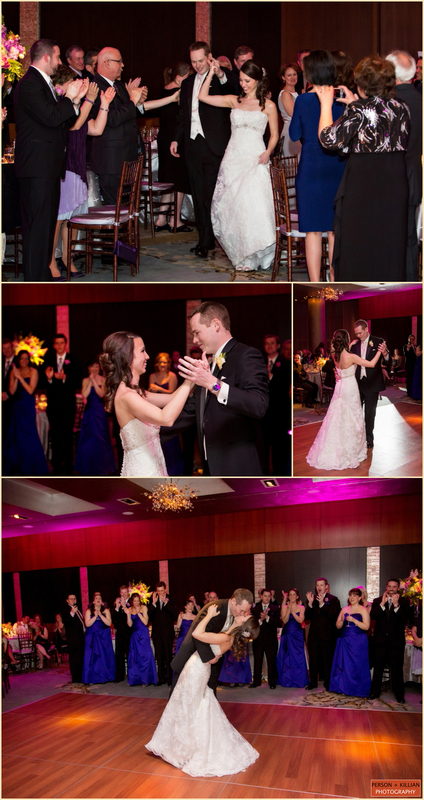 The Ritz is one of our favorite venues and we loved seeing the Ballroom transformed into the white wedding that Kate envisioned. 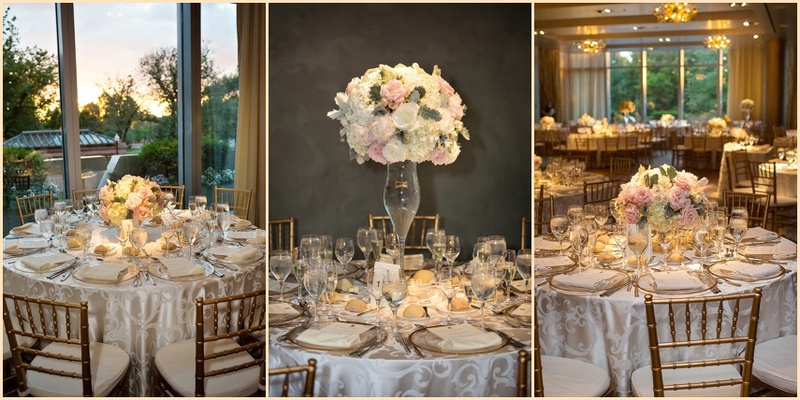 Filled with a white rug, drapes, dance floor, tables, chairs, flowers and décor! 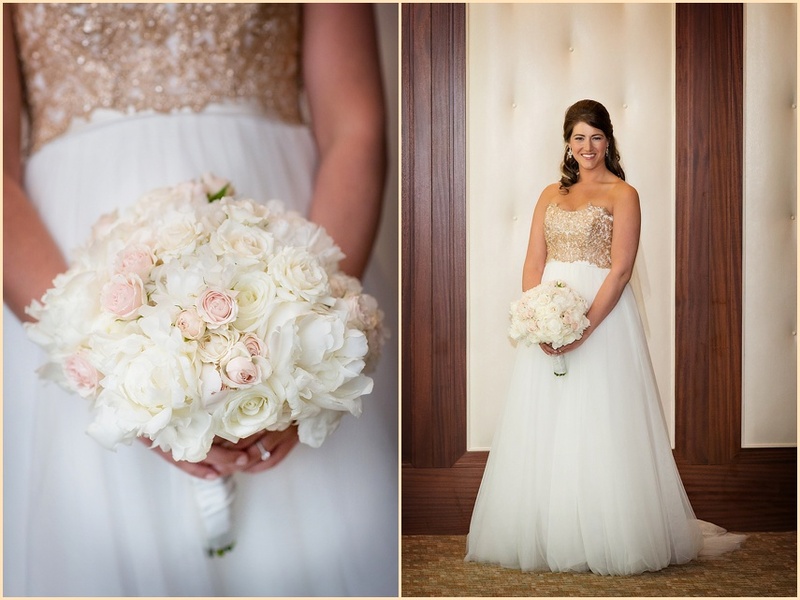 Every detail was beautifully planned and every rhinestone was perfectly placed! 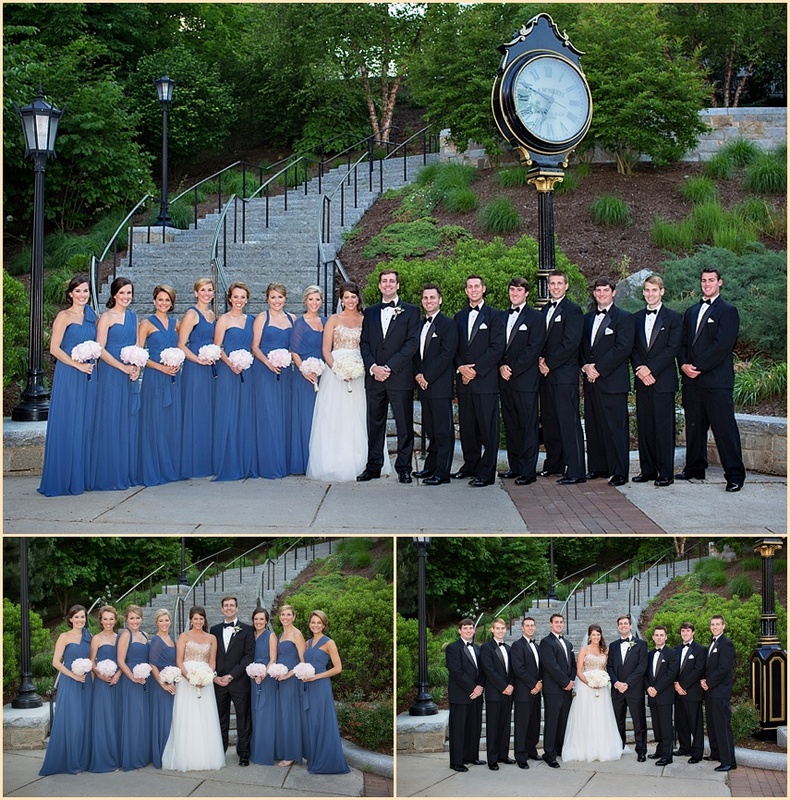 A big thank you to Kate, Brad and their families for being such a pleasure to work with and we can’t thank you enough for putting your trust in Person + Killian Photography to document such an important day. Congratulations!! !